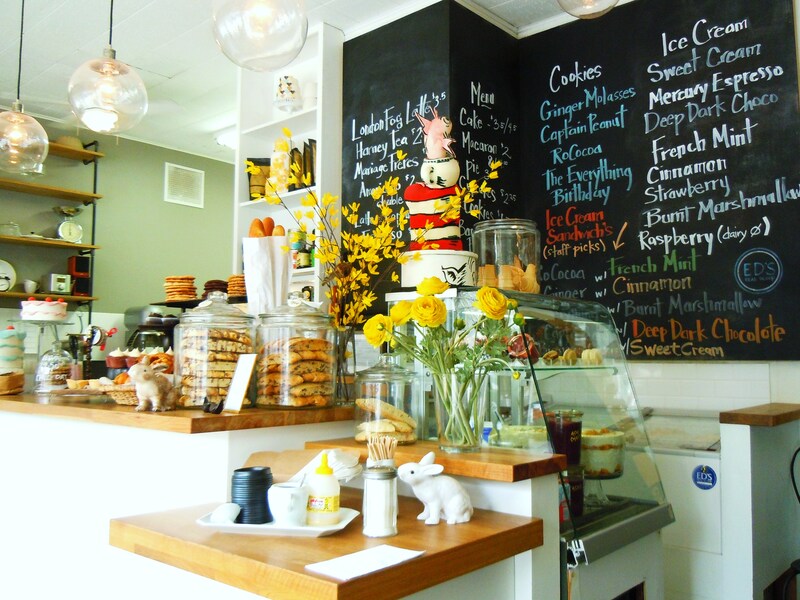 The Cupcakes, Cookies, & Cakes in the Hat – A Photo Spotlight on Dessert Oasis, Bakerbots, in Bloorcourt Village, Part I! 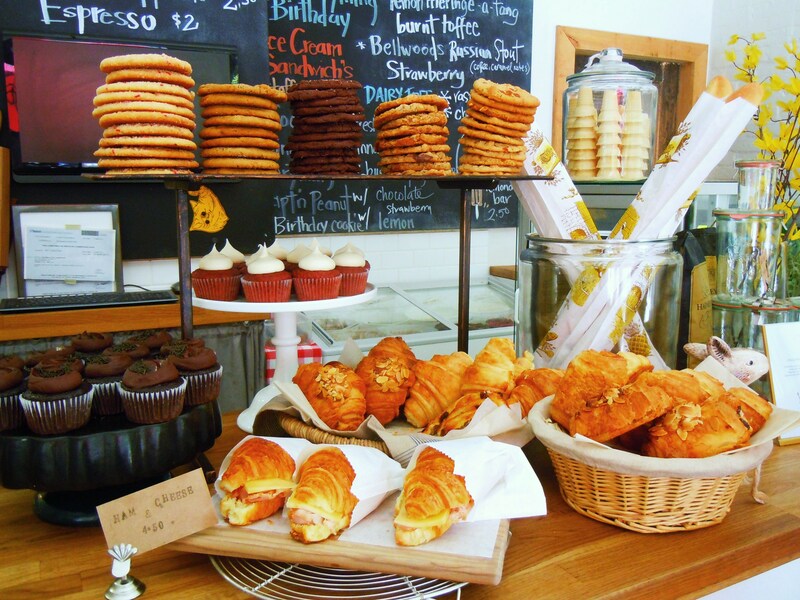 Bakerbots is located at 205 Delaware Ave by Ossington subway station, nearest major intersection being Bloor Street West and Ossington Ave. in Bloorcourt Village. 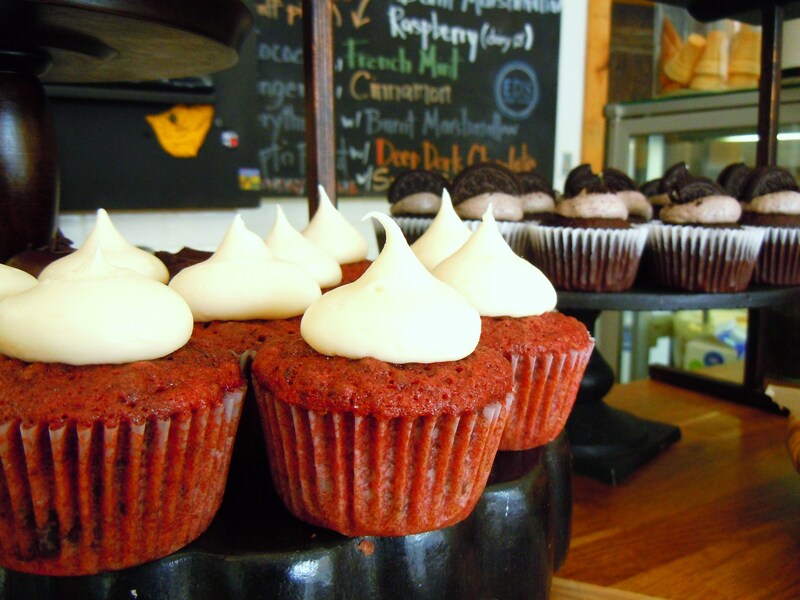 Bakerbots specializes in all things sweet with desserts and baked goods being churned out by the truckload! 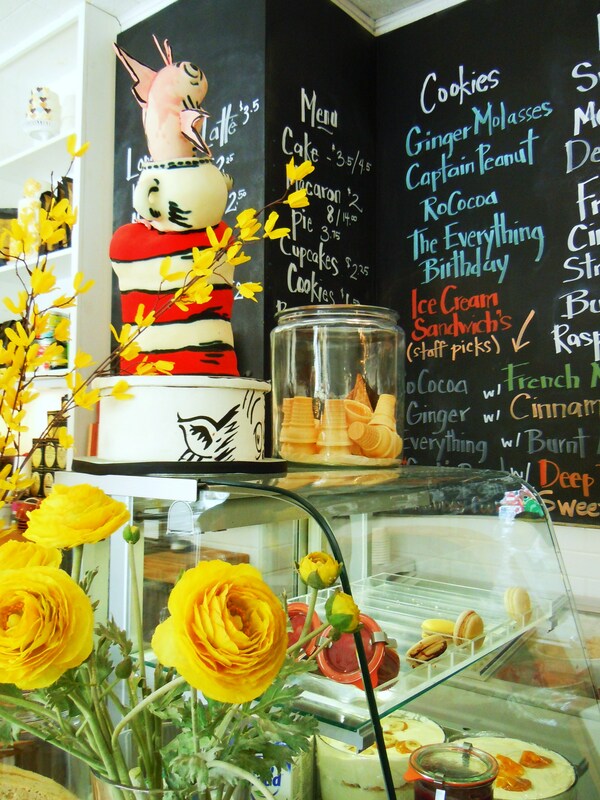 They are part bakery, part design studio, part ice cream parlour, and full on dessert emporium! Their hours of operation: Tuesday-Thursday, 6pm-10pm (ice cream treats only); Friday, 4pm-11pm; Saturday, 11am-11pm; Sunday, 11am-10pm. You can visit their site HERE. Part II full write-up post coming tomorrow! 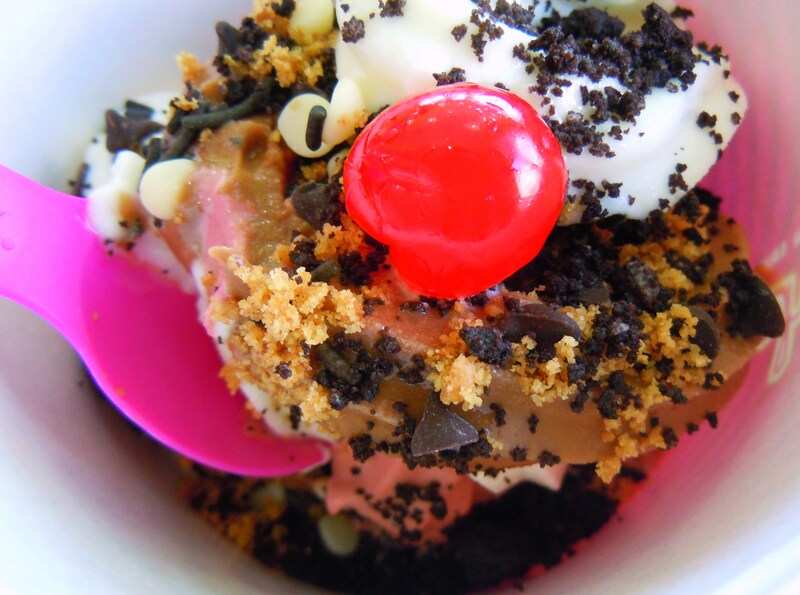 Cake in the form of frozen yogurt! Have you ever dreamed about what life would be like if everything was just one giant, delicious slice of cake? Kind of like the iconic, larger than life-size cupcake outside Google offices. We would probably all end up being very large and um, well-fed, but we can’t deny that many of us LOVE all things cake related whether it’s cute kitchen accessories, bakeware, photos of frosted birthday cake with sprinkles, cake scented candles, cake flavoured ice cream, and actual cake! Well, what if I told you all that you could customize your very own frozen yogurt sundae to taste like sweet frosted cake heaven? 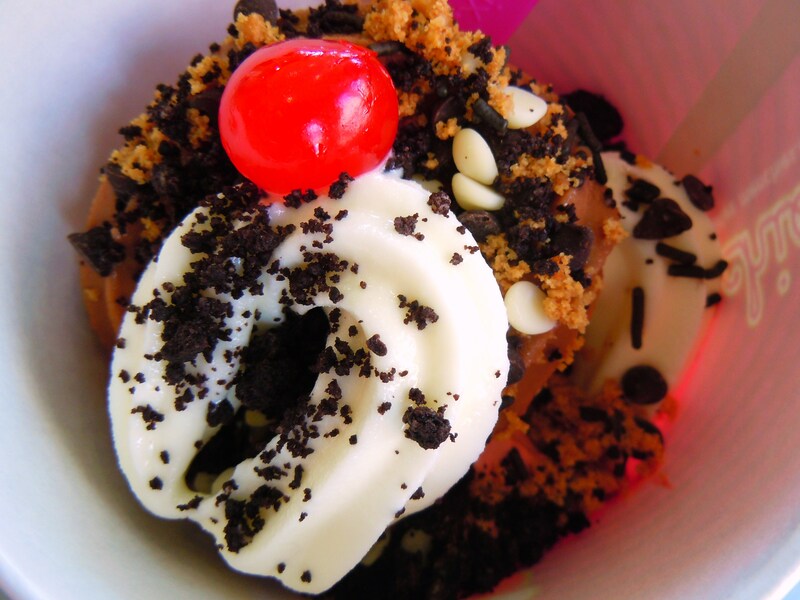 That’s right, my lovelies: let us eat “cake” at Menchie’s Frozen Yogurt! You know how I always rave about playing around with different flavour and food combinations at Freshii? I do the exact same thing at Menchie’s and it’s so much fun. 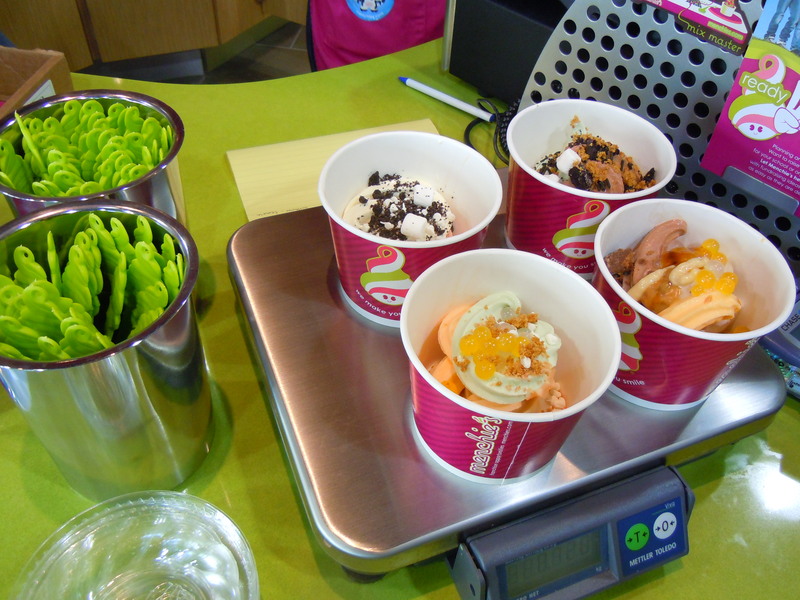 Just think, with 12 different flavours of frozen yogurt to choose from on a daily basis (plus a truckload of toppings! 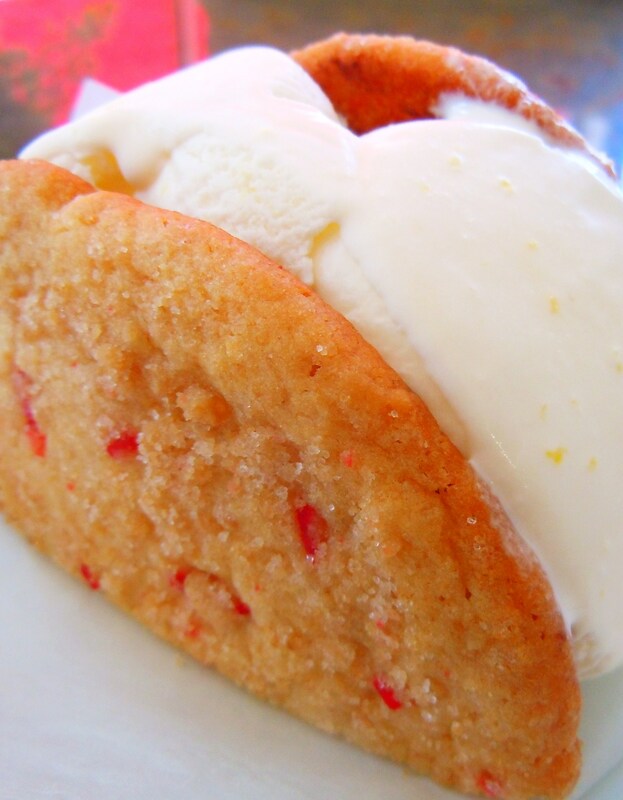 ), you can essentially create your very own frozen yogurt dessert combination. Want to create a tropical themed sundae? Swirl some pineapple and mango and load on the kiwi! Go nuts with peanut butter and chocolate! And don’t even get me started on all chocolate combinations you could play around – there would be enough to render even the biggest chocoholic tipsy! I have so many fun ideas that I want to try out during future Menchie trips, desserts like strawberry shortcake or cheesecake, a rainbow sundae, a coffee flavoured sundae, and a summery lemon, coconut, and vanilla cake. So, what flavour combination fun did I get myself into this time around? You guessed it: CAKE! And lots of it! It just so happens that there were four different cake flavours on tap on this particular day and yes, it is possible, I think, to get drunk on frozen yogurt (tap, beer, get it? Ha!) when you’re having this much fun. It was then and there that I made up my mind to create a frozen yogurt “cake” sundae using sweet and creamy vanilla cake batter (quite possibly the undisputed Flavour Queen at Menchie’s), New York cheesecake, red velvet, and chocolate. 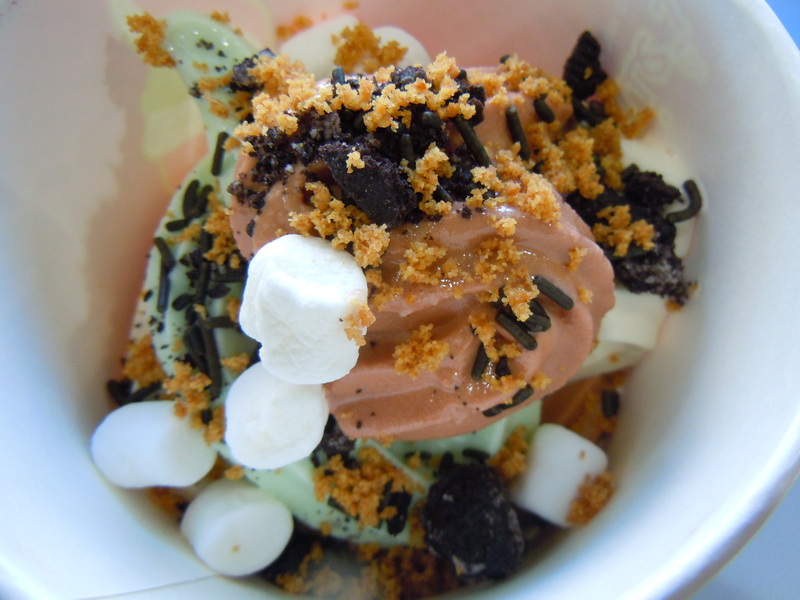 With four flavours of cake frozen yogurt in my bowl cup, I accessorized my cake with graham cracker crumbs (what’s a cheesecake without a graham cracker crust? 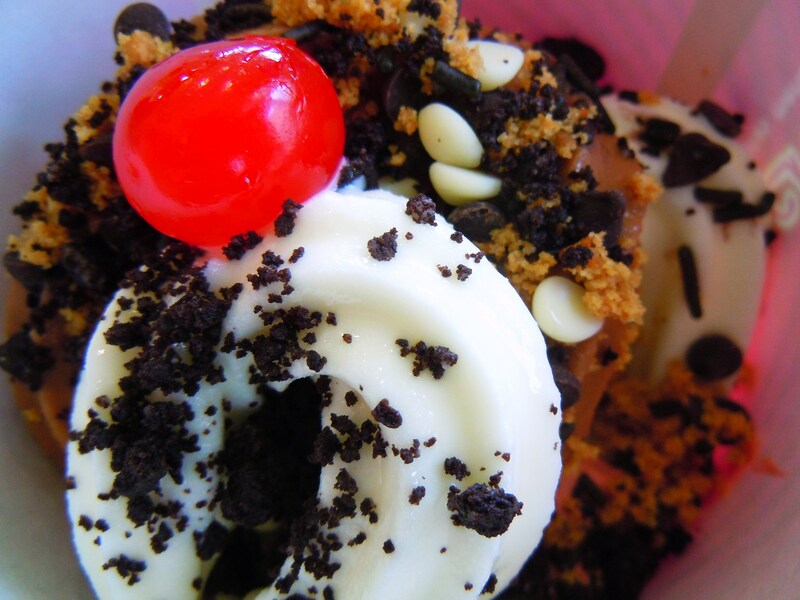 ), Oreo crumble, white chocolate chips, dark chocolate chips, chocolate sprinkles, and to top it off all off, a maraschino cherry! I loved my frozen yogurt cake sundae (it was truly a smorsgabord of cake insanity) and while the red velvet isn’t my favourite and a flavour I can take or leave (please don’t throw things at me), the cake batter and New York cheesecake are IT. 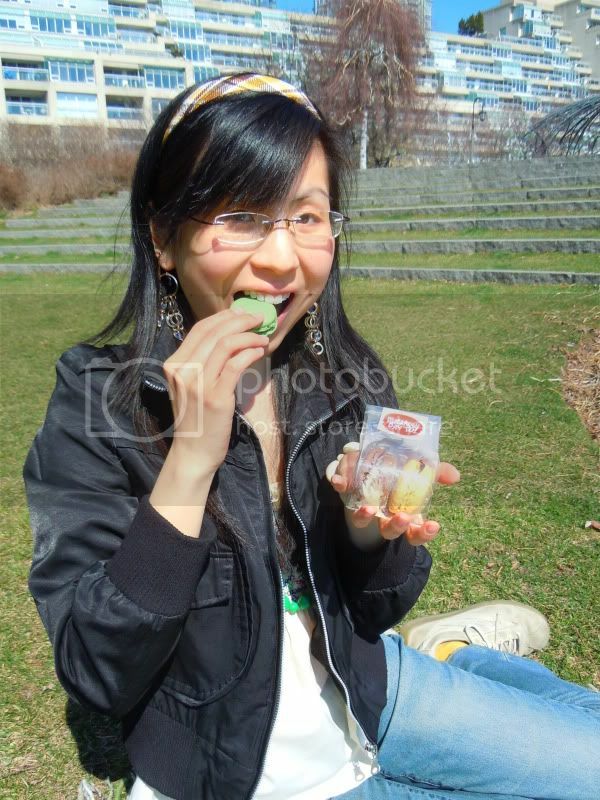 The cake batter always tastes delicious and the New York cheesecake one really hit the spot. And it’s such a versatile flavour. You can combine it with any fruity flavour to create a “fruit” cheesecake (cherry, blueberry, and so on) and you can make it extra decadent by swirling it with devil’s food, peanut butter s’more, and more. 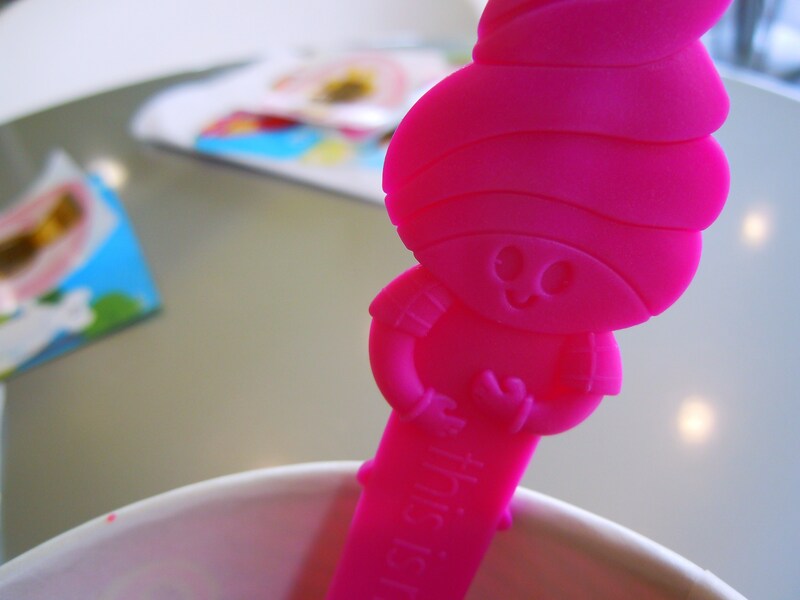 The adorable collectible Menchie spoons! 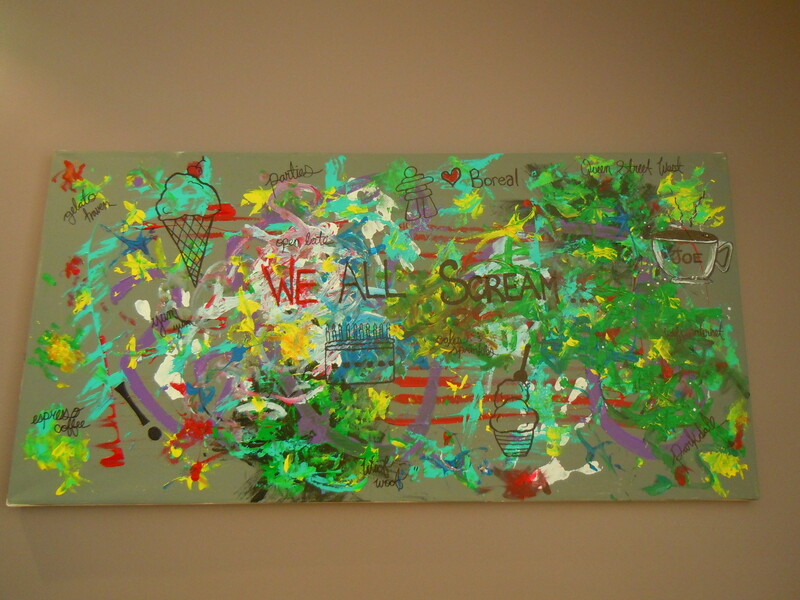 Menchie’s is such a fun, cheerful place to create pieces of edible art and to unleash all your creative food energy. It’s one of the things I love best about being here. Call it playing with my food, call it being creative – the aesthetic means just as much to me as the taste, especially when if I’m going to be posting mouthwatering photos for you guys! 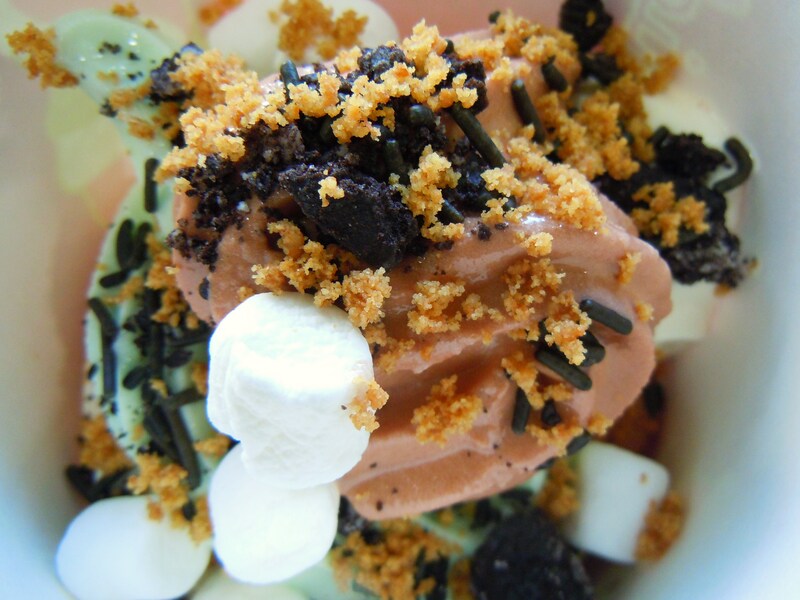 Menchie’s just makes every experience an interactive one with new flavours, reaching out to customers via social media, keeping us with press mentions, taking into account what customers like, and appealing to children and adults alike. I’m totally obsessed with their adorable collectibles, merchandise, and free stickers! Give me free, adorable stickers and I will scrapbook them to my heart’s content. In addition to the frozen yogurt cake excitement, you’ll never guess what else I discovered at the Menchie’s Markham location on this day. Imagine yourself going about your daily business (eating frozen yogurt, for example) and seeing a photo of yourself in a shop. 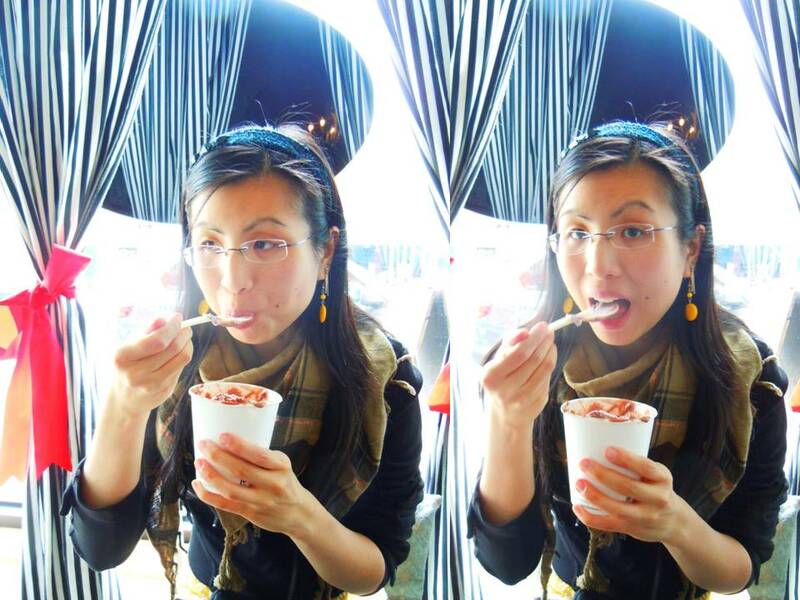 A photo of yourself wearing a blue scarf, a headband, and slurping a smoothie through a straw. A photo from your own blog! I was shocked out of my pants and I literally gasped out loud when I saw MY FACE ON MENCHIE’S WALL! 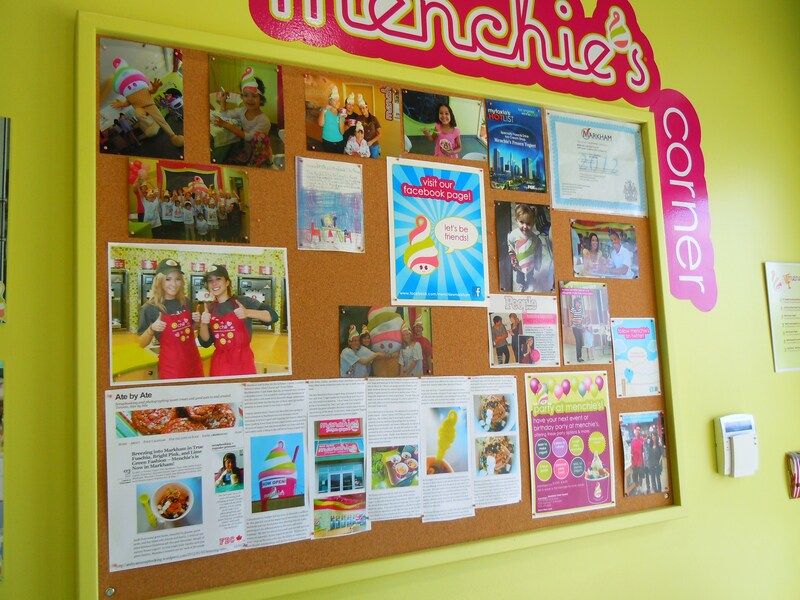 As I was leaving with my best friend, I turned to quickly glance at the Menchie’s Corner cork bulletin board and did a double take when I realized I was looking back at myself – Ate by Ate was featured on Menchie’s bulletin board! 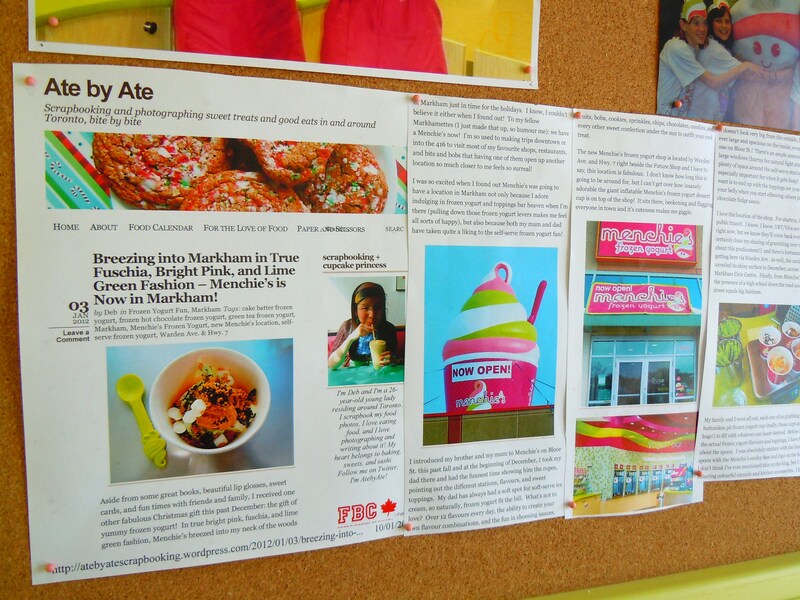 The staff had printed out my “Menchie’s Has Breezed Into Markham” post from January and had stapled every single page of my post to their bulletin board alongside fun store photos of staff and customers. Look at the bottom left corner! 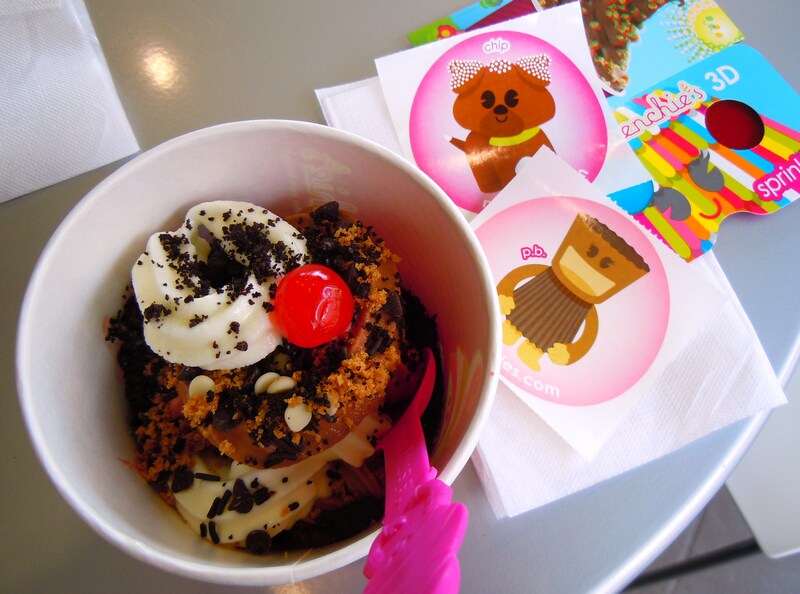 Ate by Ate at Menchie's! I was absolutely floored. I knew they had seen and viewed my post from Facebook but I had no idea they had gone out of their way to acknowledge Ate by Ate. I feel so happy knowing they liked the photos and post enough to post it on their bullentin board for the entire town to see. Sometimes I feel too tired to blog, sometimes I feel discouraged and cynical about our online experience and existence, and there are times when I wonder if any of this is worth it. It’s so easy to get caught up in the numbers, in the followers, and to compare yourself to others, losing sight of why you’re doing what you’re doing. I remind myself why I love to write and scrapbook and blog and everything else I do here on regular basis to keep myself in check and to keep the inspiration and love for it fresh and renewed. And it’s moments like these that remind me why doing this means so much: because stories are being remembered, captured, and passed along and the love for food is being shared. And in this respect, there’s no dessert on this earth that could ever eclipse the joy of doing what you love. 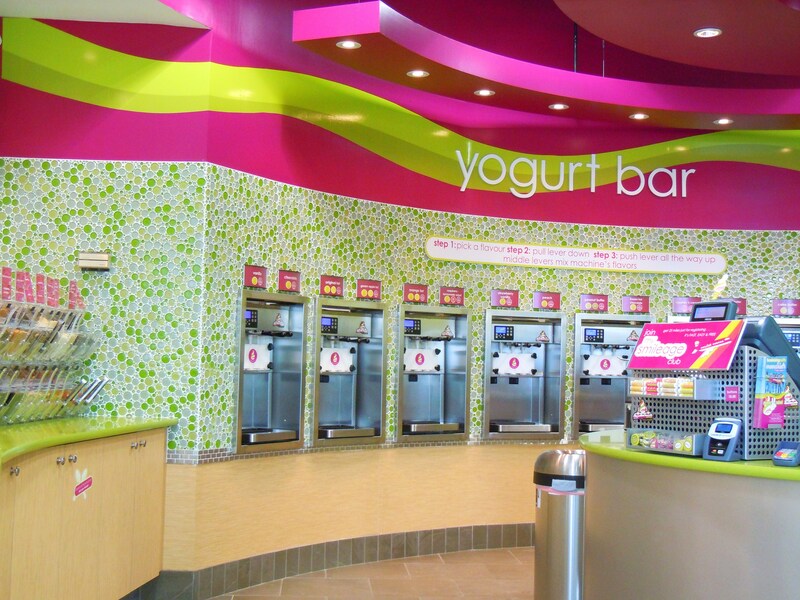 Menchie’s Frozen Yogurt in Markham is located at 3828 Highway 7 East, at the northeast corner of Hwy. 7 and Warden Ave. beside Future Shop. 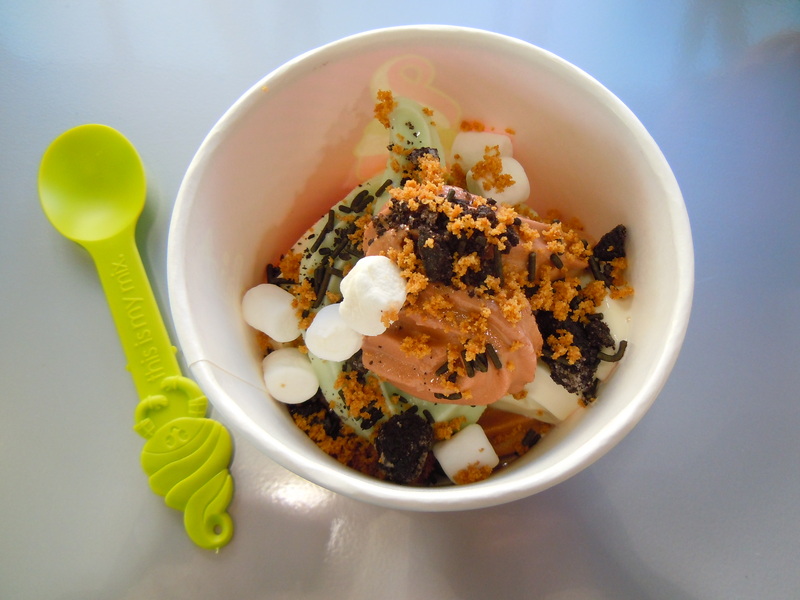 Check out my Menchie’s on Bloor St. blog post here and take a peek at the Markham location’s Facebook page here! 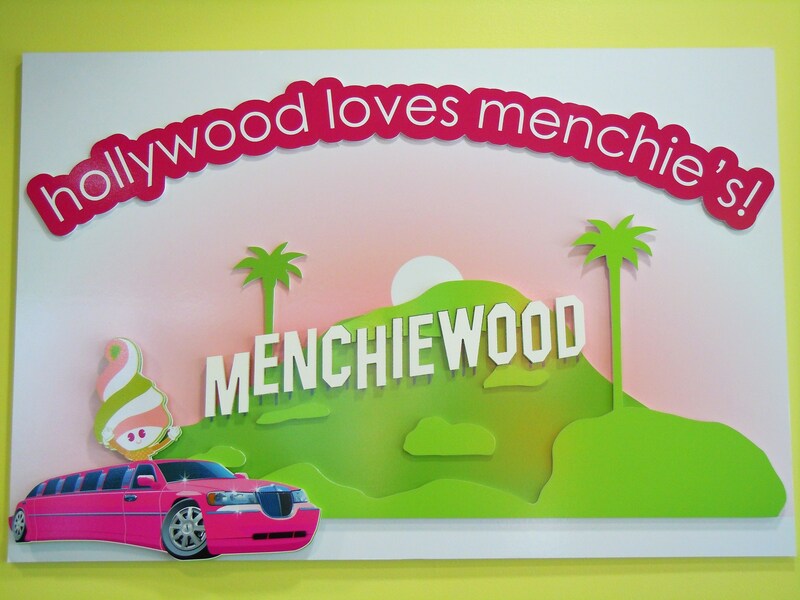 Breezing into Markham in True Fuschia, Bright Pink, and Lime Green Fashion – Menchie’s is Now in Markham! Aside from some great books, beautiful lip glosses, sweet cards, and fun times with friends and family, I received one other fabulous Christmas gift this past December: the gift of yummy frozen yogurt! In true bright pink, fuschia, and lime green fashion, Menchie’s breezed into my neck of the woods in Markham just in time for the holidays. I know, I couldn’t believe it either when I found out! 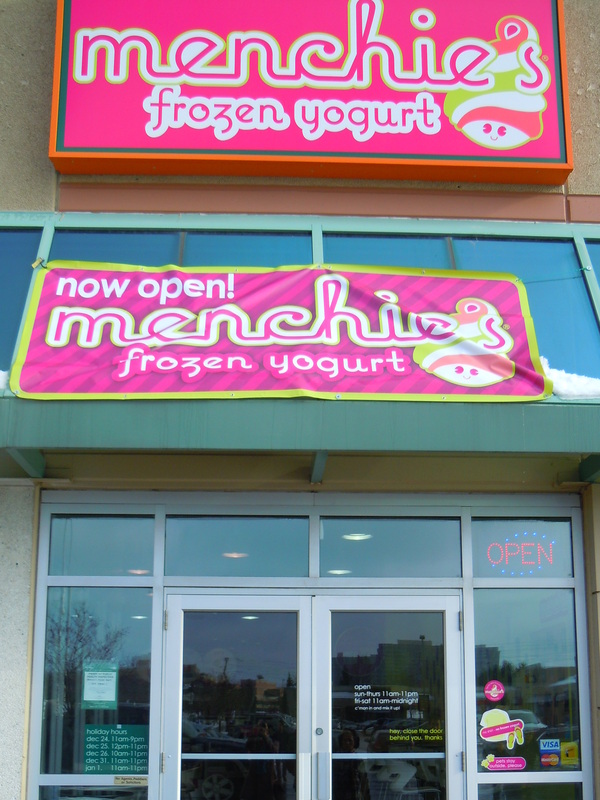 To my fellow Markhamettes (I just made that up, so humour me): we have a Menchie’s now! I’m so used to making trips downtown or into the 416 to visit most of my favourite shops, restaurants, and bits and bobs that having one of them open up another location so much closer to me feels so surreal! I was so excited when I found out Menchie’s was going to have a location in Markham not only because I adore indulging in frozen yogurt and toppings bar heaven when I’m there (pulling down those frozen yogurt levers makes me feel all sorts of happy), but also because both my mum and dad have taken quite a liking to the self-serve frozen yogurt fun! I introduced my brother and my mum to Menchie’s on Bloor St. this past fall and at the beginning of December, I took my dad there and had the funnest time showing him the ropes, pointing out the different stations, flavours, and sweet toppings. My dad has always had a soft spot for soft-serve ice cream, so naturally, frozen yogurt fit the bill. What’s not to love? Over 12 flavours every day, the ability to create your own flavour combinations, and the fun in choosing sauces, fruits, boba, cookies, sprinkles, chips, chocolates, candies, and every other sweet confection under the sun to outfit your cool treat. 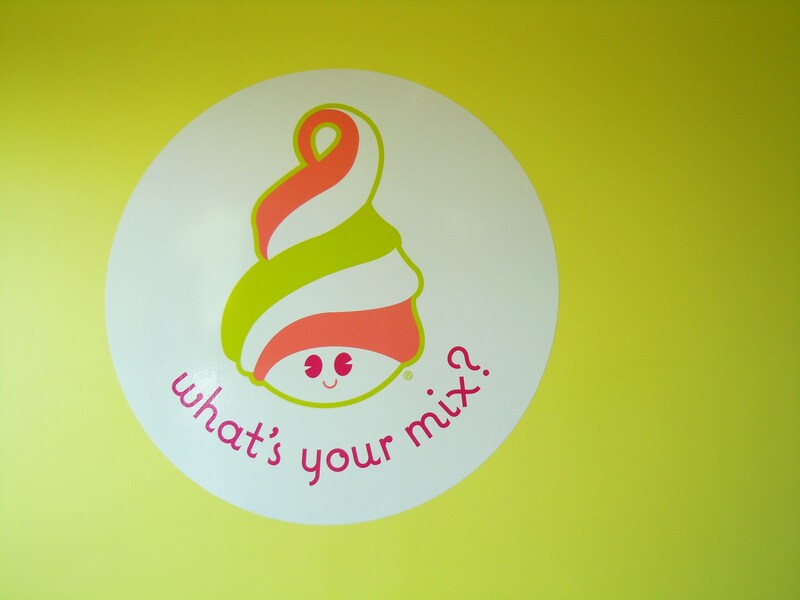 The new Menchie’s frozen yogurt shop is located by Warden Ave. and Hwy. 7 right beside the Future Shop and I have to say, this location is fabulous. 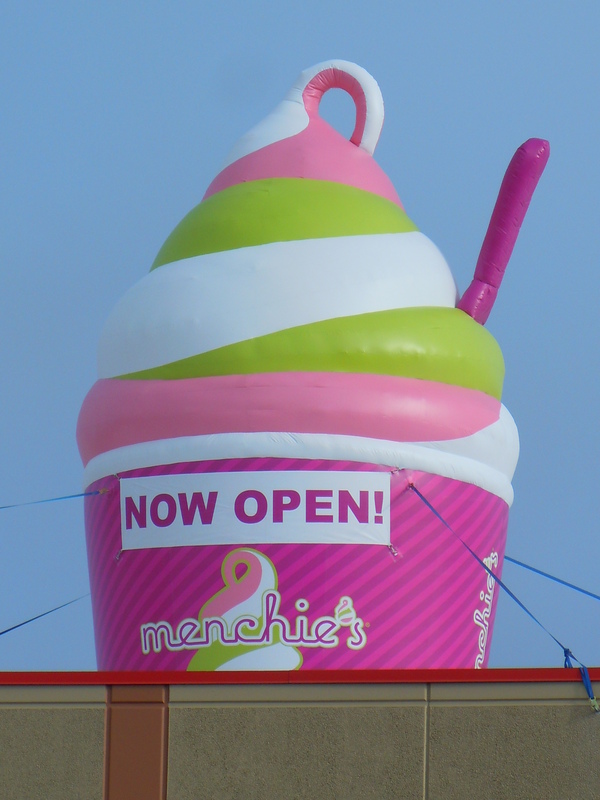 I don’t know how long this is going to be around for, but I can’t get over how insanely adorable the giant inflatable Menchie’s frozen yogurt dessert cup is on top of the shop! It sits there, beckoning and flagging everyone in town and it’s cuteness makes me giggle. It doesn’t look very big from the outside, but geez louise is it ever large and spacious on the inside, even more so than the one on Bloor St.! There’s an ample amount of seating with large windows (hurray for natural light streaming in!) 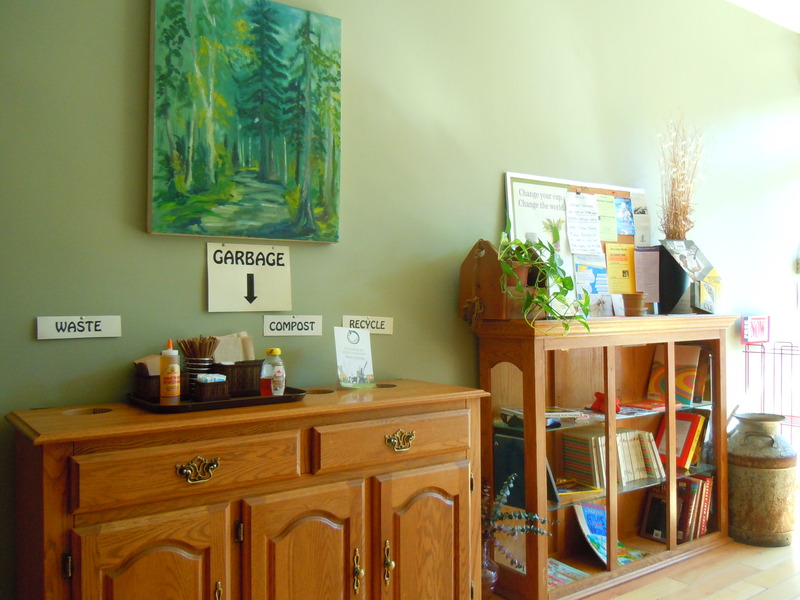 and plenty of space around the self-serve station areas. This is especially important for when it gets busy! The last thing you want is to end up with the toppings on you as opposed to in your belly when you start elbowing others just to get to the chocolate fudge sauce. I love the location of the shop. For starters, it’s accessible by public transit. I know, I know, YRT/Viva are both on strike right now, but we know they’ll come back eventually (I’ve certainly done my sharing of grumbling over the holidays about this predicament!) and there’s fortunately the option of getting here via Warden Ave. As well, the outdoor ice rink unveiled its shiny surface in December, across the street at the Markham Civic Centre. Finally, from Menchie’s perspective, the presence of a high school down the road and across the street equals big business. My family and I went all out, each one of us grabbing a bottomless pit frozen yogurt cup (really, these cups are huge!) to fill with whatever our heart desired. Before I get to the actual frozen yogurt flavours and toppings, I have to gush about the spoon. 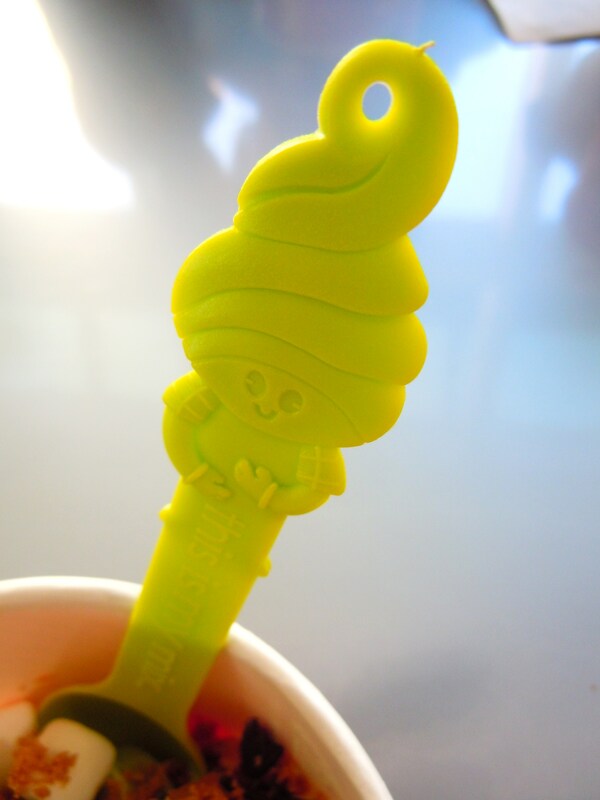 I was absolutely smitten with the lime green spoon with the Menchie’s smiley face and logo on the handle! I don’t think I’ve ever mentioned this on the blog, but I love collecting colourful utensils and kitchen accessories. I have a small collection in our utensil drawer at home of bright coloured spoons from different ice cream and frozen yogurt places and I happily added Miss Menchie to the mix. Now, onto the froyo. I swirled myself some cake batter, frozen hot chocolate, and green frozen yogurt and topped it all off with chocolate sprinkles, mini marshmallows, graham cracker crumbs, and crushed Oreo cookies. Can you tell I was going for a hot chocolate and cookies type of combination?! In hindsight, I shouldn’t have added the green tea flavour because it didn’t exactly mesh with the theme I was aiming for and although it taste bad, the green tea one wasn’t my favourite. The cake batter I love to death and the frozen hot chocolate frozen yogurt was absolutely delicious, but the green tea one didn’t do it for me. For whatever reason, I tasted a little too much citrus in it and it didn’t have that punchy matcha taste that I enjoyed. The nuances were just a little off for this one. The frozen hot chocolate one on the other hand, nailed it. It wasn’t fudgy in a chocolatey, brownie kind of way (which wouldn’t have been true to frozen hot chocolate), but instead, it was like a rich, chocolate slushie in flavour. It was great and it went really well with the cake batter frozen yogurt. I much prefer the green tea frozen yogurt from Ninka in the underground PATH downtown, but I enjoyed my holiday froyo dessert very much nevertheless! I think I’ve finally found the answer to my indecisiveness when it comes to gelato! I always have the hardest time choosing ice cream and gelato flavours and every time I go out for some, I either chid myself for being so wishy-washy over my choices or I whine to myself, “why can’t I just have 5 flavours and make myself a pretty little artist’s palette of gelato scoops? ?” It’s the reason why I get so excited when I come across places that allow you to choose more than one flavour in a cup or cone. There’s almost always a catch though. More often than not, the extra flavours will mean extra moolah and I find myself back at square one, limiting myself to just a few flavours so I don’t end up making my wallet weep. If only there was a way to try a host of flavours while at the same time reeling in the total price. I recently found that “way” and I couldn’t be happier! 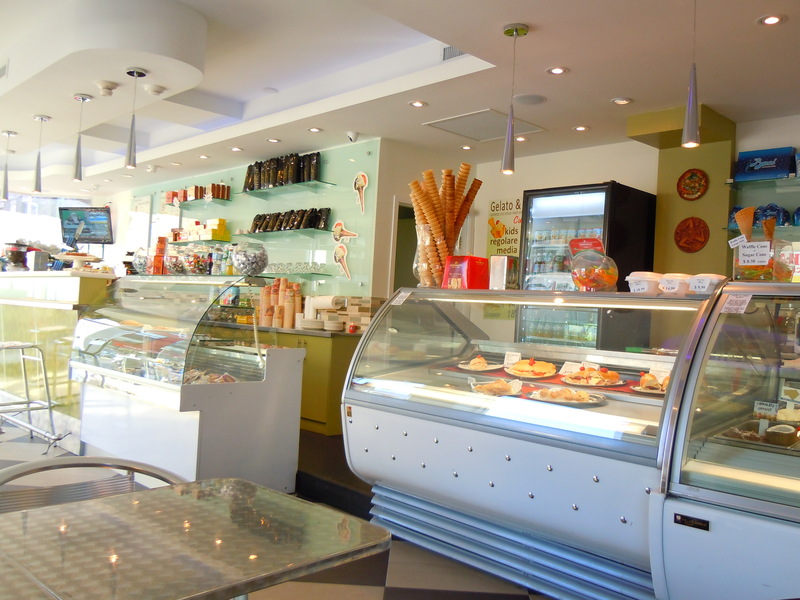 Introducing Arte Gelato and Caffé on Bloor West! 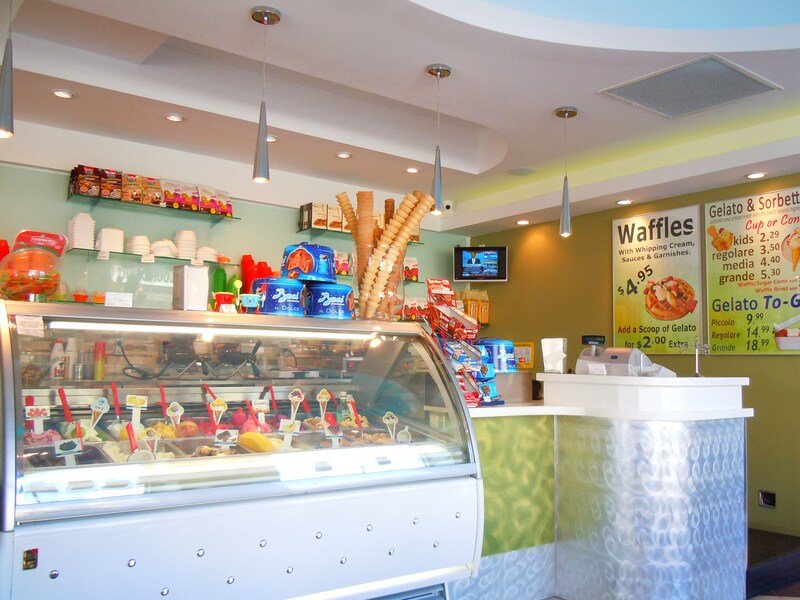 Located in the heart of Bloorcourt Village on Bloor Street West at the corner of Delaware Rd., just east of Dovercourt, Arte Gelato is a beautiful, airy, spacious gelato café that serves panini sandwiches, waffles, and coffee drinks in addition to their colourful, delicious array of fresh gelato. I know there are many gelato cafés in the city and I’m well aware I haven’t even chipped away an ounce of what’s out there, but I’m telling you, Arte Gelato is an absolute gem among the jewels and there are so many reasons why I love it here. Relishing in ‘Delightful’ Blueberry Cheesecake and Vegan Chocolate Ice Cream at Delight Fair Trade Chocolate! 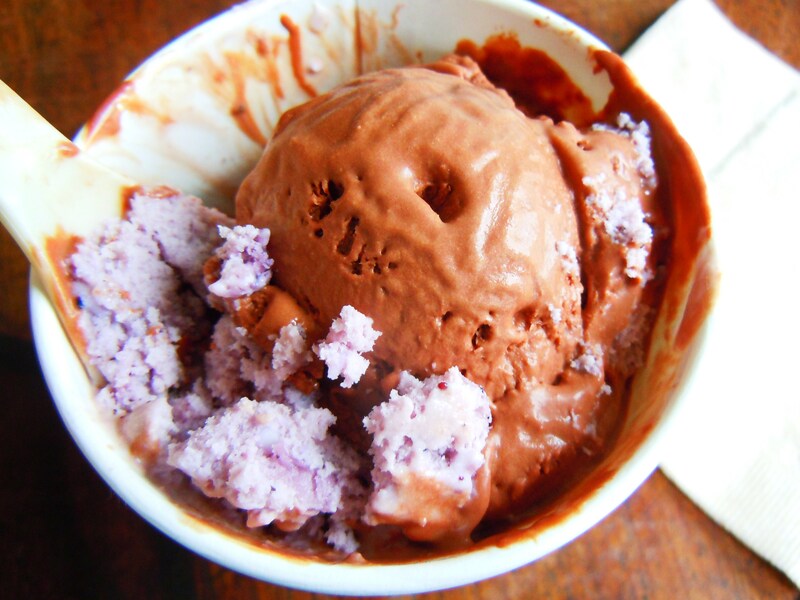 It’s rich, it’s creamy, it’s made from coconut milk, and it’s dairy-free: it’s a vegan chocolate ice cream alert! And it’s deliciously decadent. I’m a little bummed that I’ll be seeing the Toronto Chocolate Festival this year come to a close without tucking a little sweet something-something under my belt to show you all, but I think the delicious vegan chocolate ice cream I have here more than makes up for that. 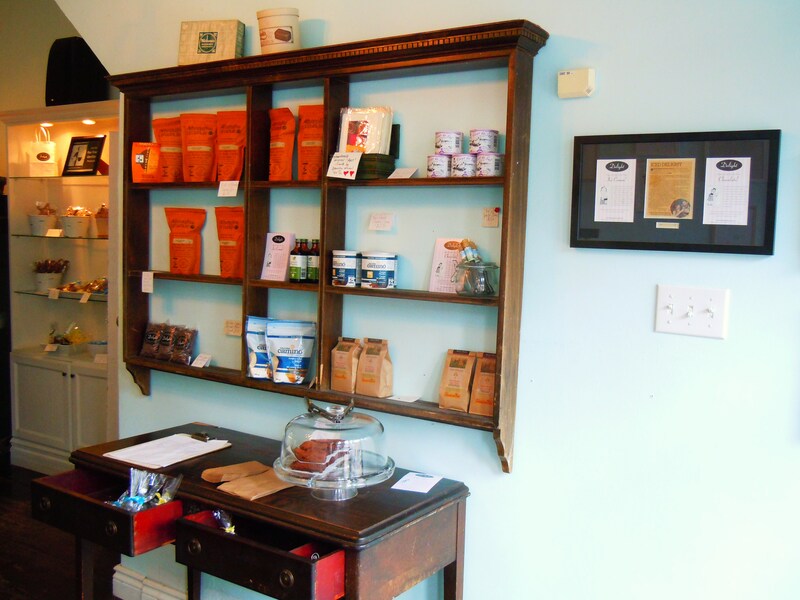 As I said to my friend Christina a few weeks ago, Toronto may not be the vegan capital of the world, but there sure are some darn amazing vegan establishments and good eats around the city, and Delight Fair Trade Chocolate in the Junction is one of them! I made my discovery of Delight Chocolate waaay back in April when I was visiting Bunners Bake Shop during Veggielicious and walking around the Junction neighbourhood for the very first time. As I was walking to Bunners along Dundas West, I passed by Delight before it had opened its doors for business and stopped to stare. 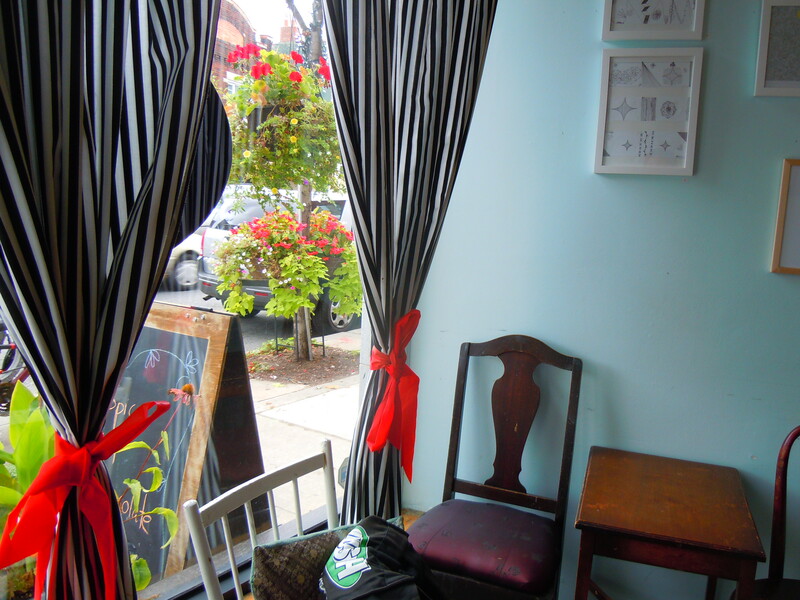 The storefront was beautiful to look at with its cursive logo in black and white, its black and white striped curtains tied with bright red bows, and its tiny little wooden bench sitting outside. 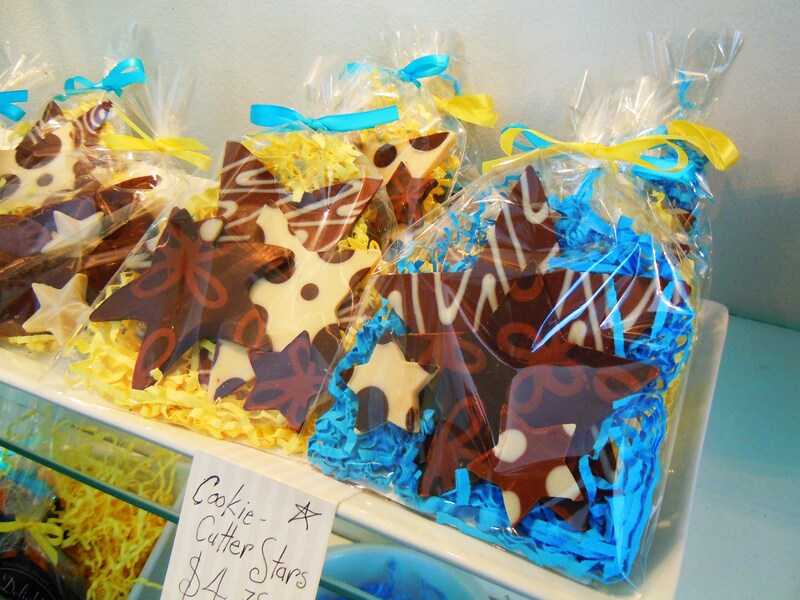 I stuck my nose against the storefront window and peered inside at the wooden furniture and shelves of chocolate. The shop looked so pretty and elegant, and I had no idea at the time that it held such yummy treasures inside. After doing a quick Google search, I found out that Delight Chocolate not only sold Fair Trade handmade chocolates, but that they also sold ice cream! YES! 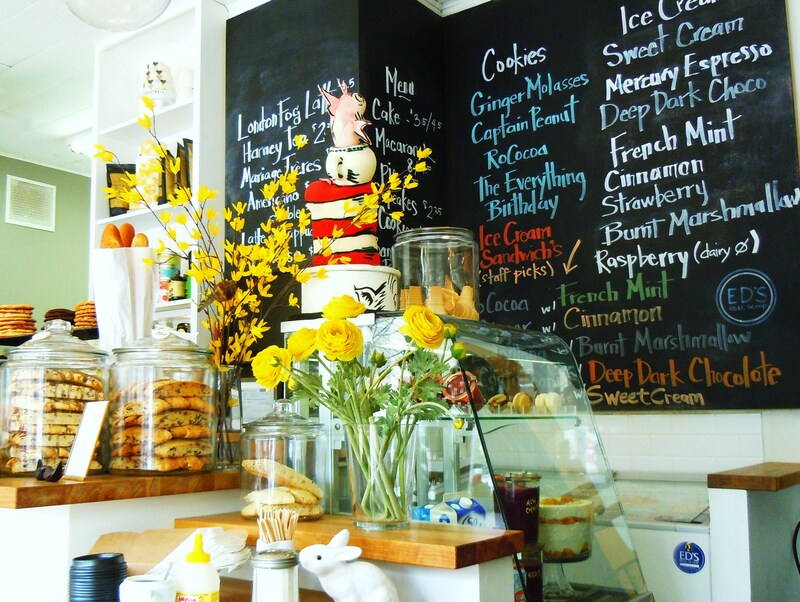 Another ice cream parlour, chocolatier, and cafe on the foodie hit list! 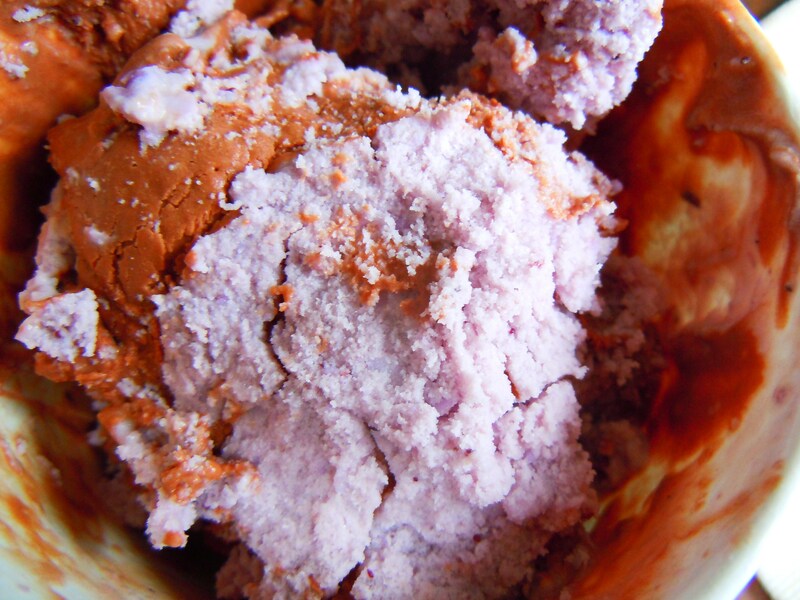 Along with the chocolate and ice cream are the juicy sorbets made from seasonal fruits, and cafe drinks. 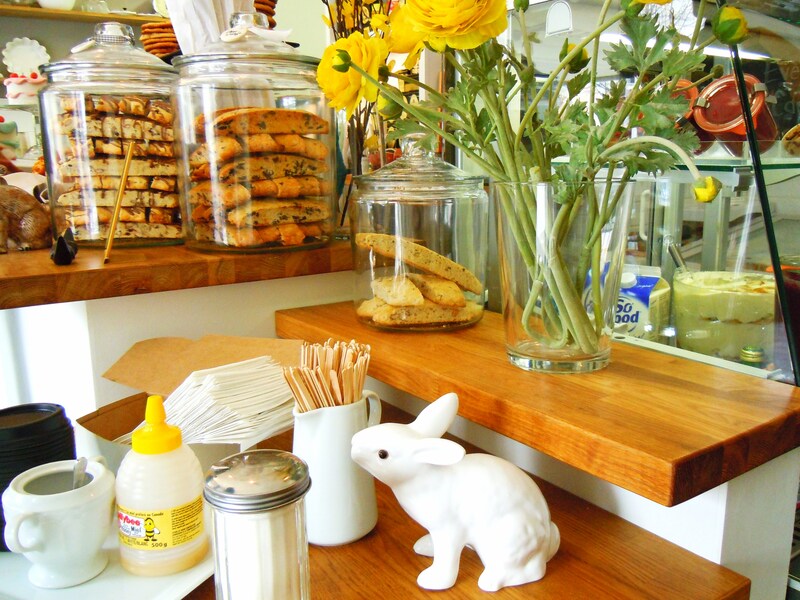 At Delight, the emphasis is placed on using local, organic ingredients alongside Fair Trade chocolate. The term “Fair Trade” isn’t tossed around or used as a gimmick. Delight truly believes in the importance of supporting equitable working conditions and the positive, ethical treatment of farmers and workers and the environment. The business goes out of their way to source ingredients from Ontario and Canadian farmers and to form co-operative relationships through Camino/La Siembra. Delight fully discloses all ingredient information used in their products right down to the farms the ingredients came from, such as Harmony Organic and Certified Local Food Plus. In a nutshell, the chocolate and ice cream here are a representation of the belief in reciprocity via sustainability, growth in communities, and respect for everything and everyone involved in creating the food we eat. Delight’s lineup of ice cream flavours is amazing because not only do they have some really unique and creative flavours, many of the flavours are truly local and Canadiana. Aside from the mainstays like mint chocolate chip, vanilla, and chocolate peanut butter chip, the real standouts are the flavours such as spiced plum, honey lavender, peaches n’ cream, Niagara apricot, Quebec Blue Cheese, Blueberry Cheesecake, and Delight’s signature vegan chocolate ice cream! 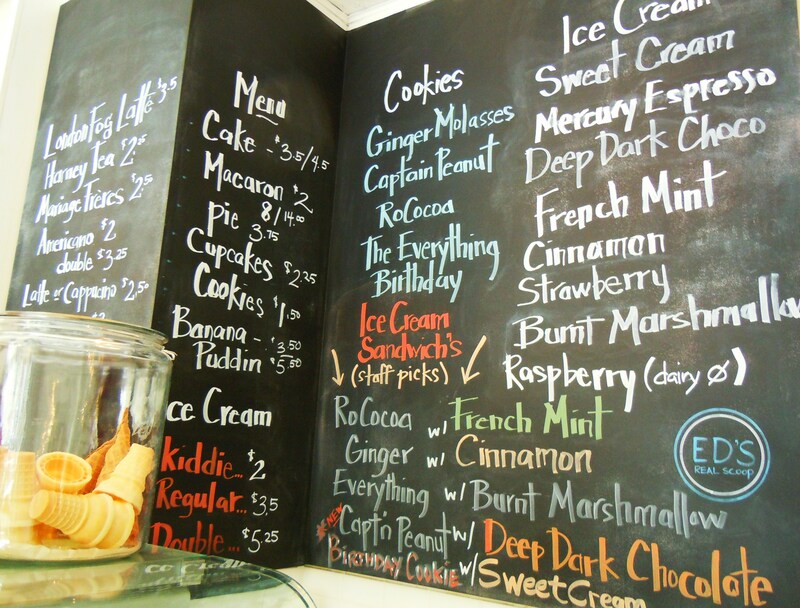 Aside from organic and vegetarian/vegan grocery stores, there are a handful of places in the city that serve vegan ice cream and Delight’s specialty is the vegan chocolate. I’m hoping to introduce many more options as time goes on, so you can consider this the first post in a tentative vegan ice cream series! Prices for ice cream differ based on whether you have it in a cup or in a handmade waffle cone, but a single scoop in a cup will run you $3.25, a single scoop in a waffle cone at $3.95, a double scoop serving in a cup at $5.50, and a double scoop on a waffle cone at $5.95. Given how generous the scoop portions are and given how utterly mouthwateringly delicious the ice cream is, it is well worth it. I knew I wanted the vegan chocolate from the get-go. I was about to settle with just the one scoop until I saw all my other options. I internally groaned. The decision was going to be achingly difficult. What flavour to choose for the 2nd scoop?? After hemming and hawing, I chose the blueberry cheesecake. It sounded fab and the colour was beautiful. The blueberry cheesecake is everything that you could ever want in a cheesecake flavour. 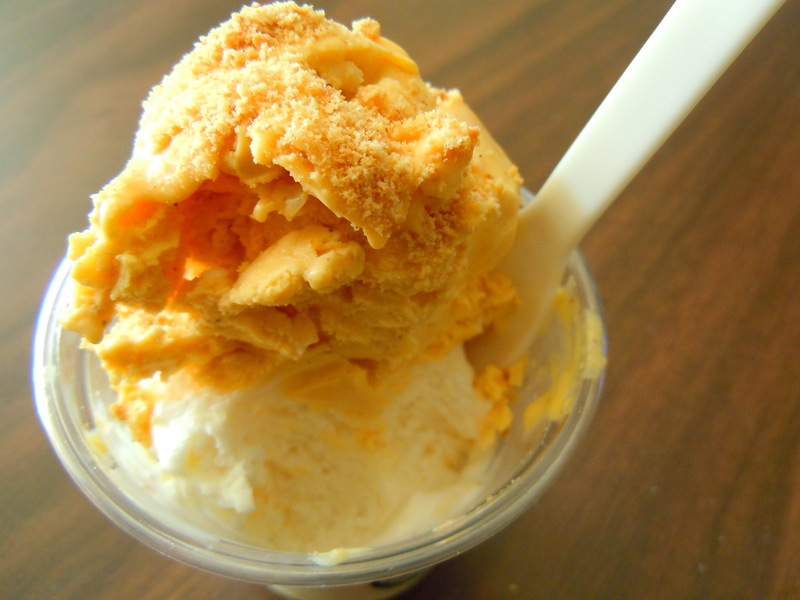 It’s thick, it’s tangy, and even though there’s no graham cracker crumb crust in the ice cream, you can literally TASTE it in every bite. The blueberry and cheesecake flavour is a beautiful combination because the simaltaneous sour and juicy sweet flavour of the blueberry melds with the creamy tanginess which results in a wonderfully rich ice cream. And speaking of rich, the vegan chocolate was oh-my-god-out-of-this-world. 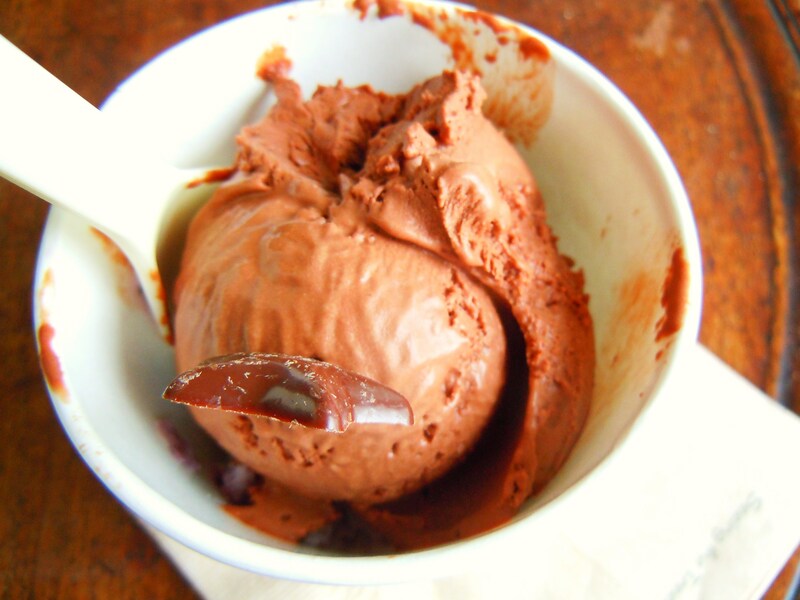 I don’t think you’ve truly eaten an amazing chocolate ice cream until you have eaten the vegan chocolate at Delight. I loved the texture and consistency. It’s not melty or runny and when you spoon it, it holds its shape so that when you put a nice, chocolately chunk of it in your mouth, you get all of the thick creamy goodness thanks to the coconut milk. It’s thick and rich and the chocolate flavour just shines with that perfect punch of bitterness that tastes so amazing in dark chocolate. You know the kind I’m referring to. The type of dark chocolate that isn’t too strong or overwhelming, but still has a high enough percentage of cocoa solids to really let the natural cocoa shine through. I loved that hint of bitter, natural cocoa flavour. 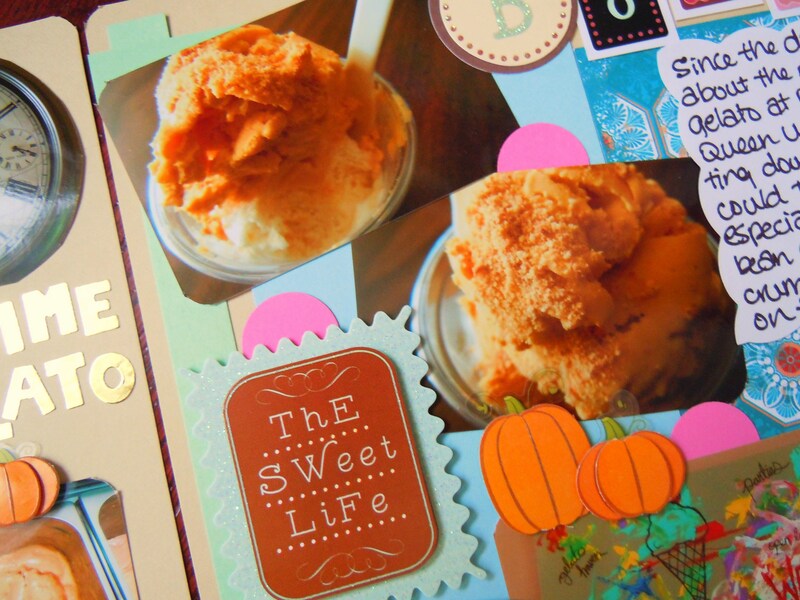 Now that it’s fall, Delight has a pumpkin pie ice cream that I’m dying to try! It’s time for another visit because the Fall Harvest Series (and my tastebuds) are waiting for it. 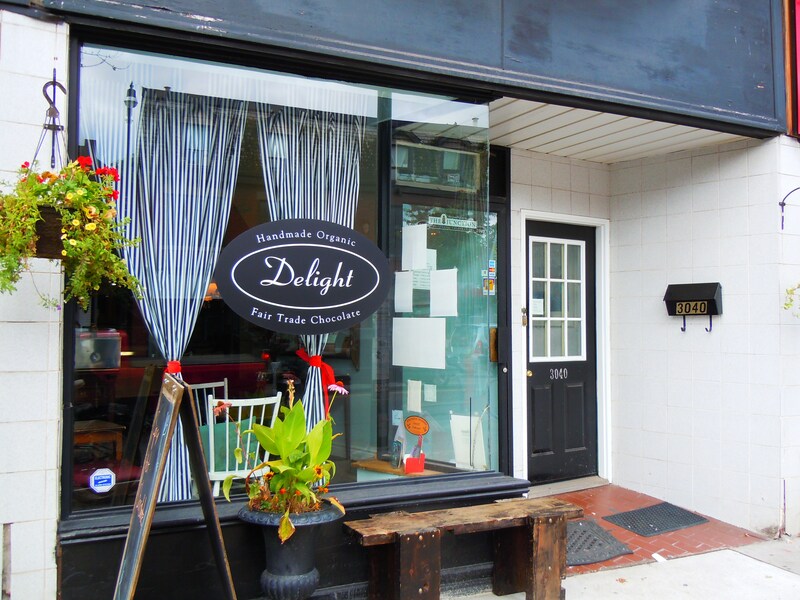 Delight has two locations in Toronto with one serving the Junction neighbourhood at 3040 Dundas Street West and the other located by Trinity Bellwoods Park in the West Queen West neighbourhood at 805 Queen Street West. For more info, visit their website here. 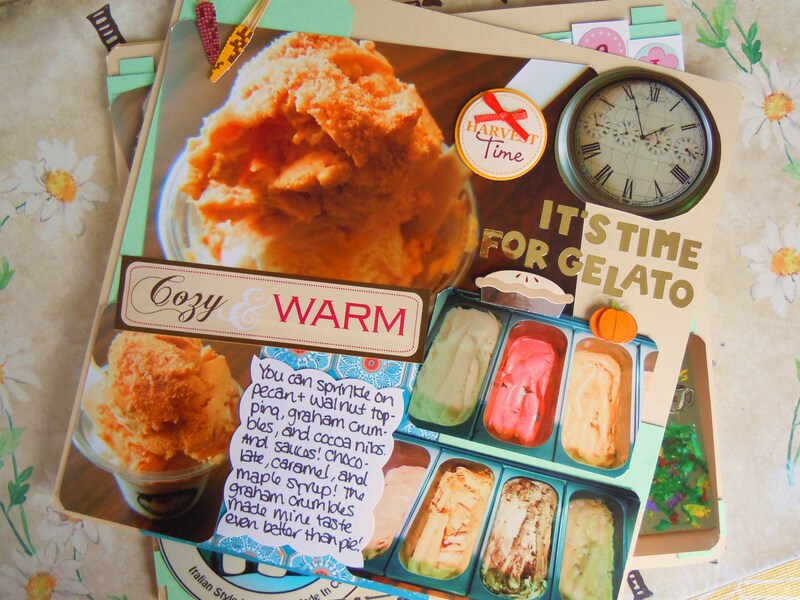 I’m so excited to finally introduce my very first gelato post to the blog! 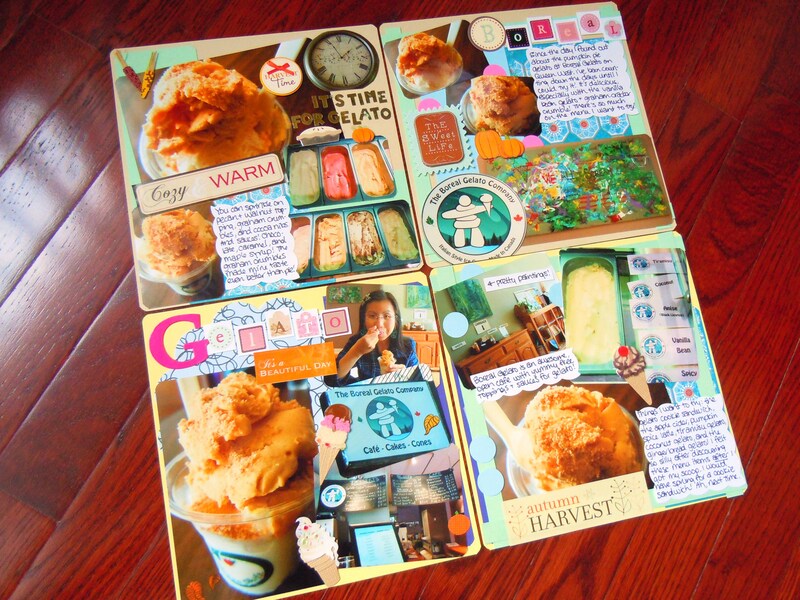 And I’m so ecstatic I finally got to do some scrapbooking! It took me forever and a half to get my photos developed. 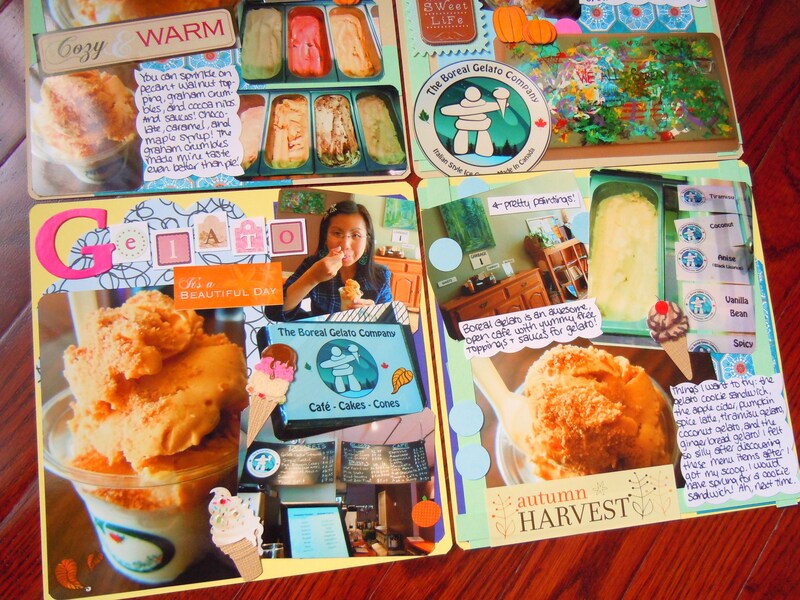 I had some layout sketches done, but for weeks I could never find the right time to get them developed (I was either at Le Dolci or out with my boyfriend or family, and no where near a Wal-mart, Loblaws, or any other photo developing spot) and my scrapbooking withdrawal was making me seriously cranky. Moping-in-front-of-the-tv-and-glaring-at-the-supplies-I-couldn’t use-yet cranky. I’m fine now. Peeling and slapping stickers on cardstock alleviated my teeth-grinding and now I get to look forward to replenishing my stash of fall and alphabet stickers! That, and maybe some Hallowe’en goodies too. It’s going to be great. I have Andrew/TOfoodie on Twitter to thank for this delicious snack and post. He mentioned PUMPKIN PIE GELATO and holy mother of pearl, I couldn’t scribble the details down fast enough if I tried. I may love cupcakes and cake, but I also loooove ice cream, frozen yogurt, and gelato. I’m the one who eats frozen dessert treats in the dead of winter while everyone else is hugging their coffee cups for dear life. I promised myself I’d fatten up the ice cream, frozen yogurt, and gelato categories on here because compared to what I have on cupcakes, it’s paltry. 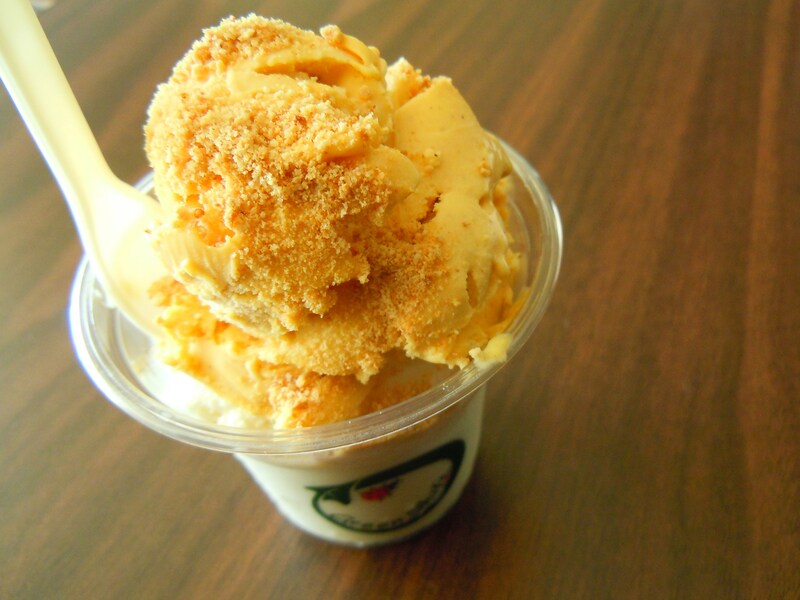 So here we are with the first gelato post featuring the pumpkin pie gelato from The Boreal Gelato Company in Parkdale! 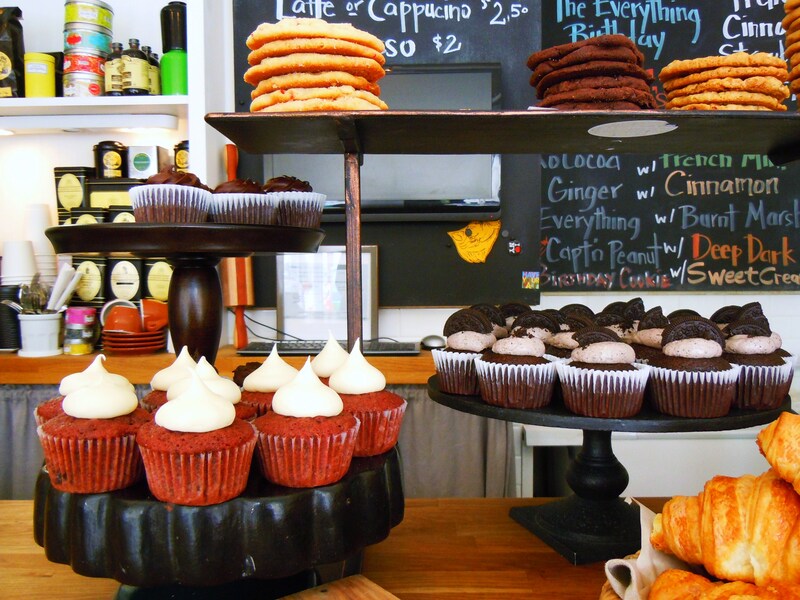 When I first started doing a little research for the Fall Harvest series, I came across so many sweet pumpkin goodies and options around the city! 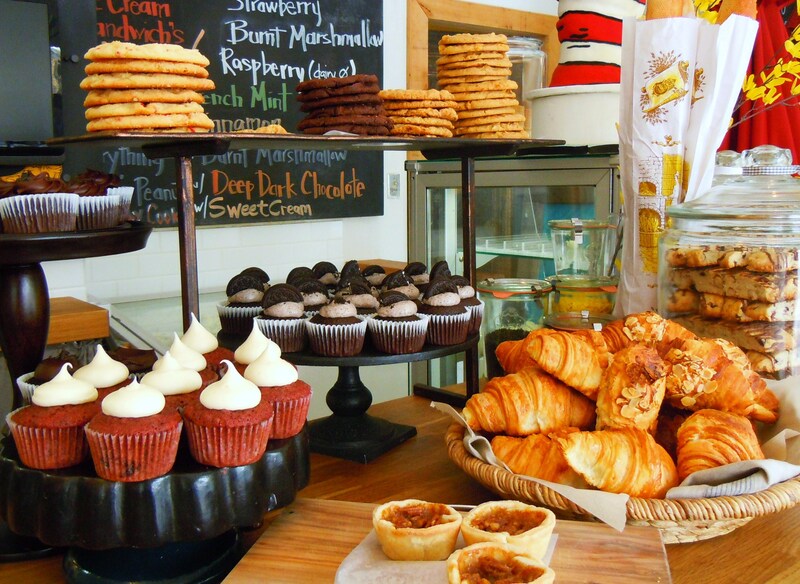 Cupcakes, teas, lattes, cookies, tarts, loaves, and yes, GELATO! I kept them in mind and slowly but surely, I’m going to tick them off one by one. 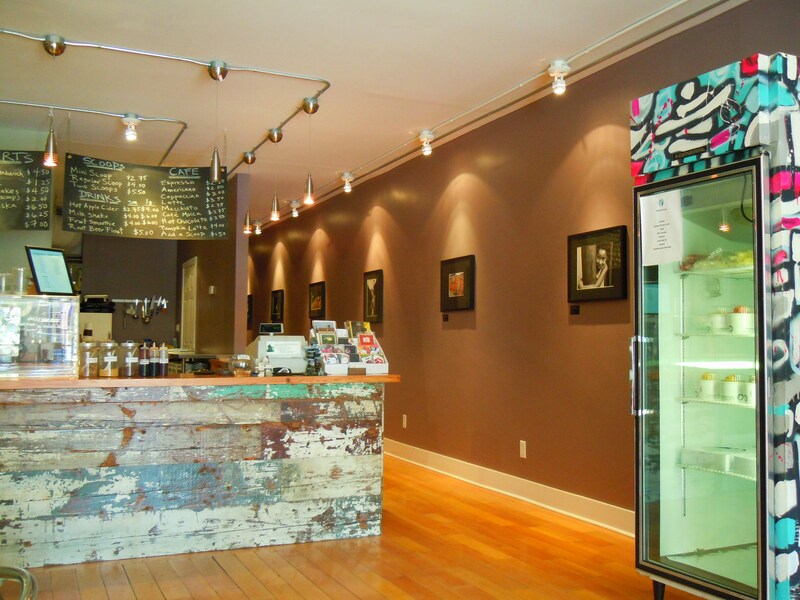 The Boreal Gelato Company, located on Queen West just west of Dufferin St., is amazing. Check out the adorable Inuksuk logo! 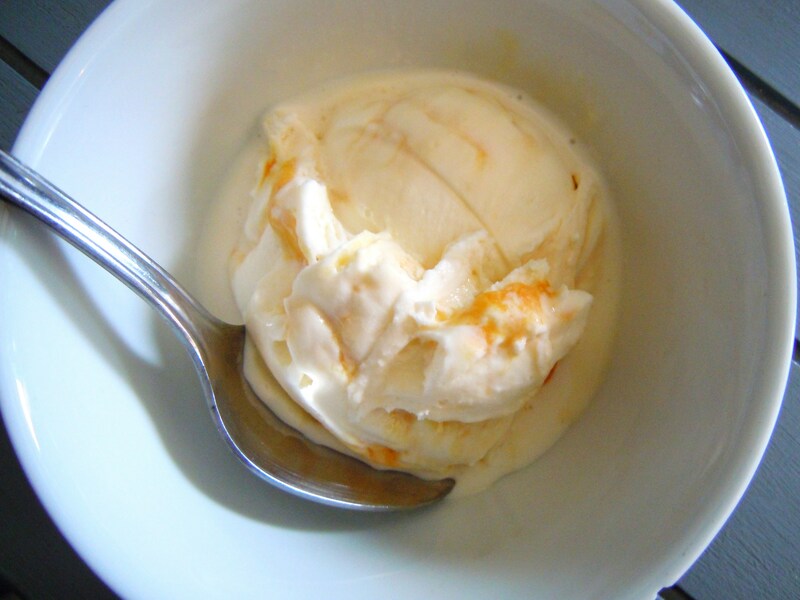 With an emphasis on homegrown, local Canadian ingredients, Boreal Gelato strives to be ethically sound and as environmentally conscious as possible, using certified fair-trade products and biodegradable packaging, as well as offering patrons a place to dispose their recycables and compostable waste. Now, obviously, their efforts to use local, Canadian ingredients can only go so far as certain products don’t grow in Canada (cocoa, coconuts, and bananas, for example)*, but their mission is to offer customers the best of the best when it comes to the availability of seasonal, local fare. Not only do they have a fab selection of gelato flavours, but they also have a great cafe menu (they serve weekend brunch now too! ), and ample seating inside the shop. I know you can look up their gelato flavours on their website, but not all the flavours are listed and I’m going to throw out a few that I saw that day just to make this post a little more exclusive 😉 Flavours include tiramisu, anise (black licorice), Irish cream, coconut cream, salted caramel, triple chocolate crunch, earl grey, spicy rosemary shortbread, pumpkin pie, and gingerbread. The sheer volume of flavours is one of the things I love most about gelato shops. 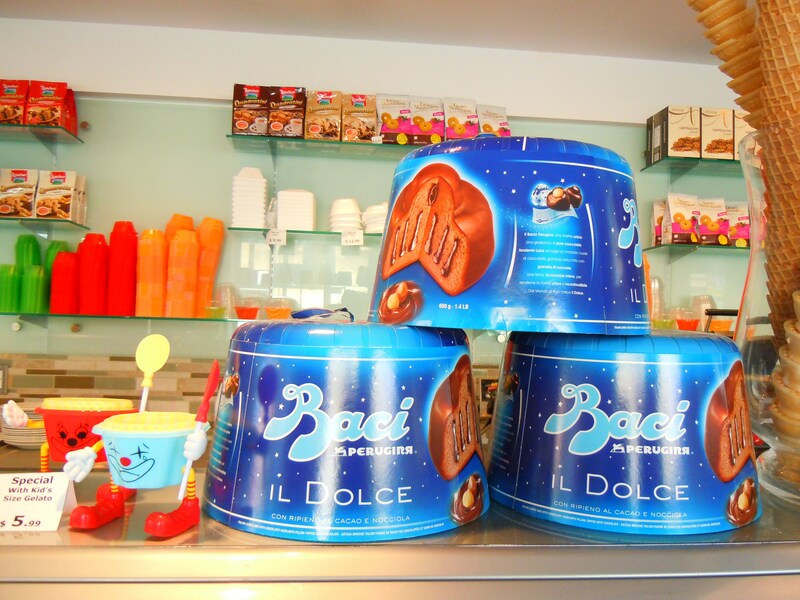 Some of the flavours are just so creaitve and it makes you salivate looking at all the metal bins filled up with colourful, delicious gelato. I know some people like or find it necessary to take their food to go, but I like having a spot to sit down when I’m in a place and Boreal Gelato has plenty of comfortable seating inside, with tables and chairs and a long seating booth against one wall. It’s open, it’s airy and spacious, and it’s exactly what I love about shops with seating. 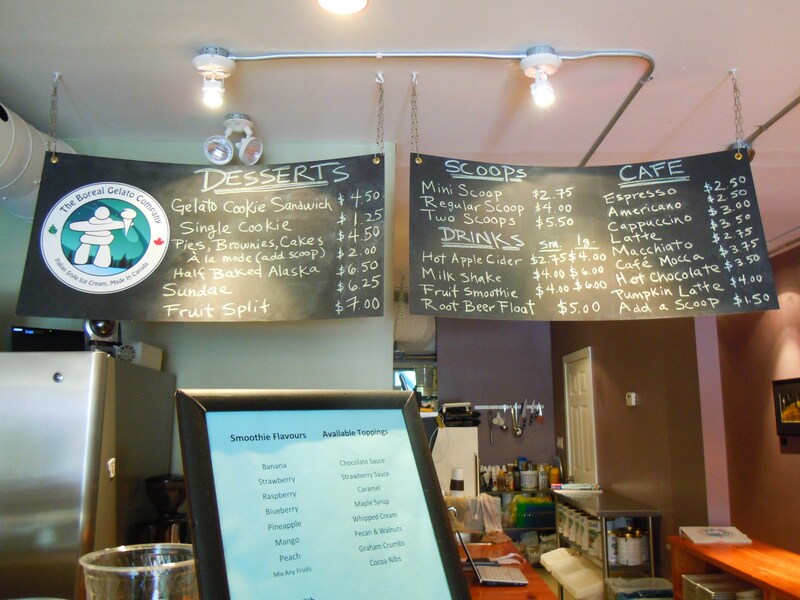 Although their specialty is gelato and sorbet, their menu isn’t exclusive to just those two items. 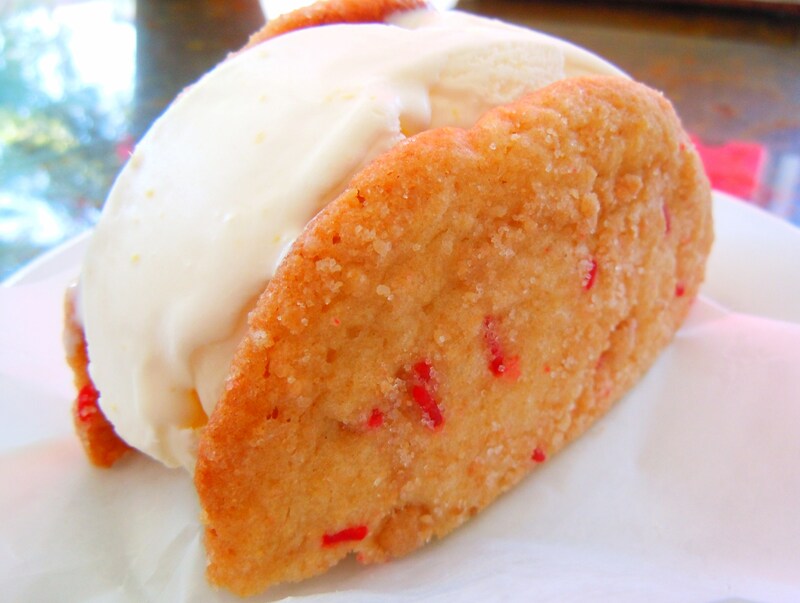 They have coffee drinks (espressos, cappuccinos, cafe mochas, macchiatos, pumpkin lattes, and hot chocolates), fruit, milk, and soda drinks (think apple cider, smoothies, root beer floats, and milkshakes), cakes, pies, cookies, baked Alaska (I know, oh my gosh), annnd gelato cookie sandwiches! Their prices are very average and run-of-the-mill in comparision to other gelato places in and around the city (and yes, I’ve eaten at other places but just haven’t blogged about them! If I don’t like my photos or if I don’t have any, it doesn’t get blogged). There are 3 tiers: mini scoop ($2.75), regular scoop ($4.00), and double scoop ($5.50), and what’s really fab about their scooping arrangement is that you can choose two flavours to make one scoop! So if you’re indecisive like me, this is perfect for you! Oh! And toppings! You get free toppings! 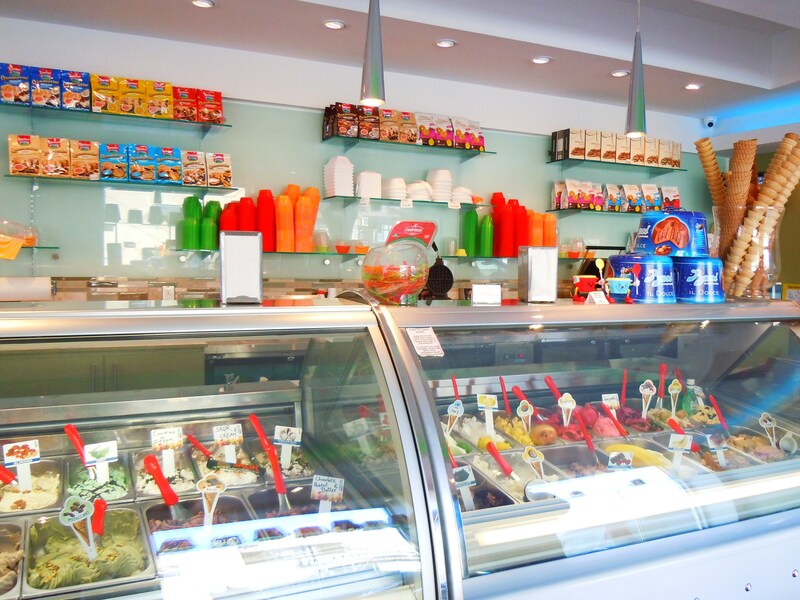 Right by the cash, there are canisters of topping goodies and squeeze bottles of sauces to dress up your gelato or sorbet. That day they had pecan and walnut topping, graham cracker crumbs, cocoa nibs, and chocolate, caramel, and maple syrup. I got myself some pumpkin pie and vanilla bean gelato and sprinkled graham cracker crumbs onto it and oh my goodness, this was even BETTER than actual pumpkin pie! 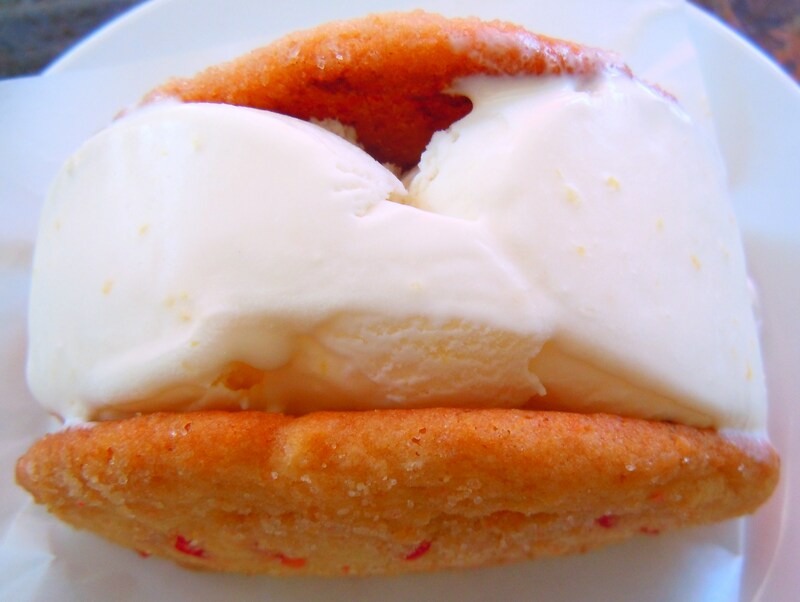 I could have eaten triple scoops of this. So refreshing, so smooth and creamy, and sweet! 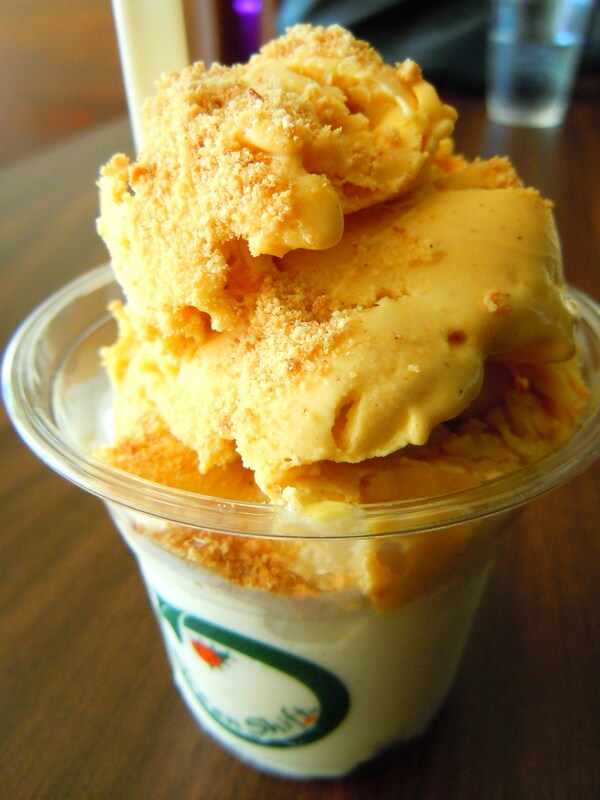 I have friends who always wish pumpkin desserts were just a tad sweeter and this gelato delivers. The sweet flavour and cool refreshingness does it for me. I wouldn’t say that pie itself is necessarily drying, but when you eat this, you just feel it melt in your mouth the way pie never could. 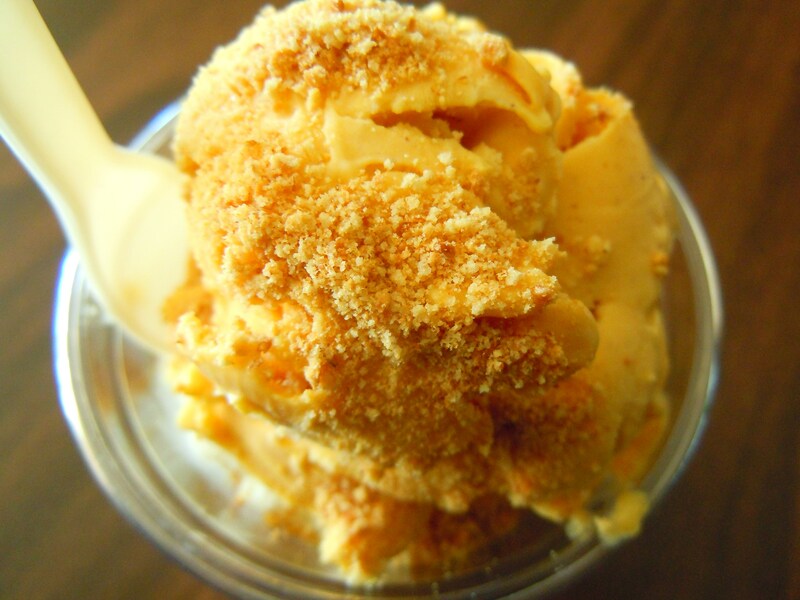 The pumpkin pie gelato was amazing, with the perfect balance of sweetness and earthiness with a hint of spice, and combined with the vanilla bean and graham cracker crumbs it was like eating creamy, sweet, scrumptious pumpkin pie with a graham cracker crust and vanilla ice cream on top. I have something embarrassing to admit right now though. I was SO excited about stuffing my face into the pumpkin pie gelato that the rest of the menu was completely lost on me. And I feel so silly because of it. I went in with the intention of eating the amazing pumpkin pie gelato and although I got what I wanted (which I’m thankful for – they sold out of their first batch and JUST had another one ready for me when I came in! 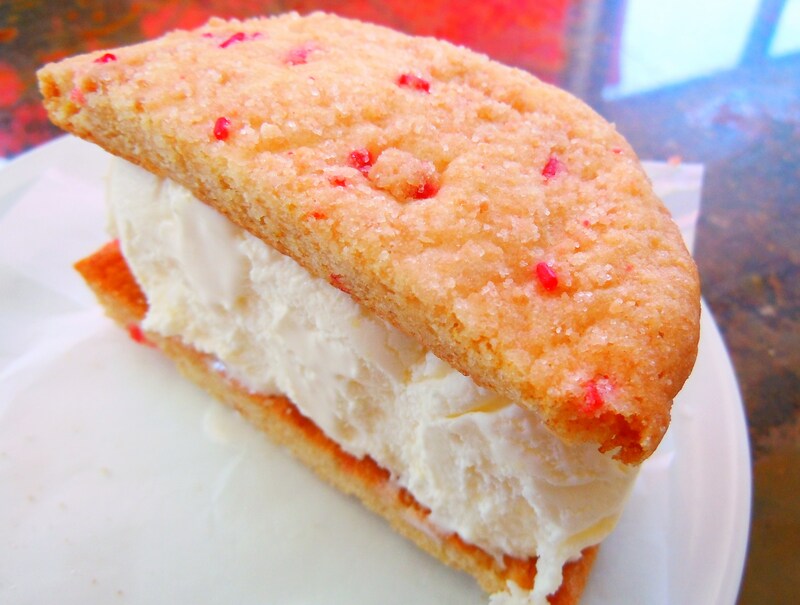 ), I would have ordered a gelato cookie sandwich and pumpkin latte had I realized they had something like that! It was only after I finished my gelato that I realized how much other stuff they had and I almost groaned out loud at my stupidity. Sigh. Well, that just means I’m going to have to go back again. And again. And again. 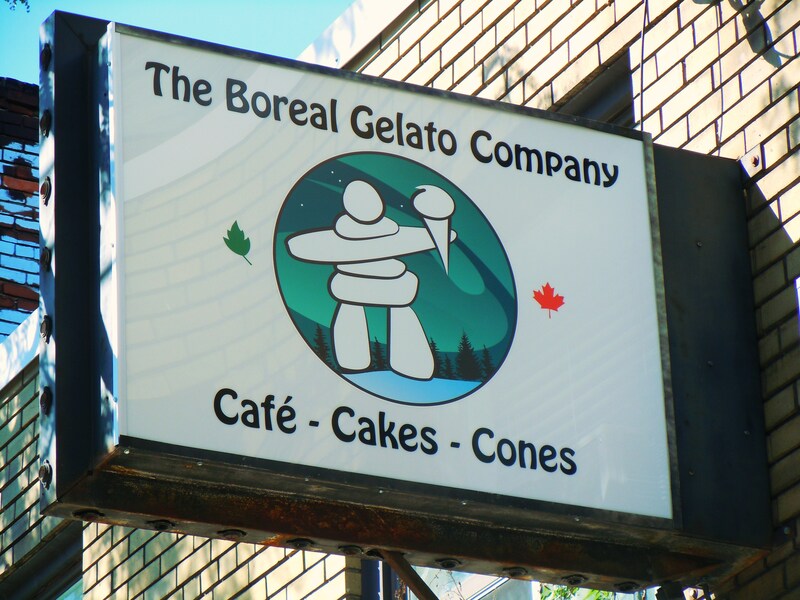 The Boreal Gelato Company is located at 1312 Queen Street West in Parkdale, just west of Dufferin St. between Noble St. and Elm Grove Ave. 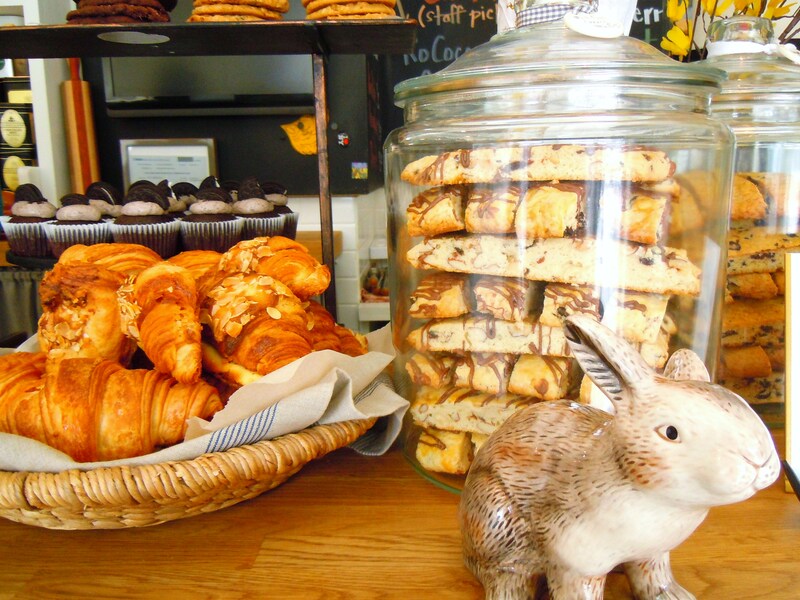 They serve weekend brunch and are open from Tuesday to Sunday. Their hours from Tuesday to Thursday are 1pm-10pm, 1pm-midnight on Fridays, 10am-midnight on Saturdays, and 10am-10pm on Sundays. Click here to visit their website. Scrapbooking materials used: to be added!